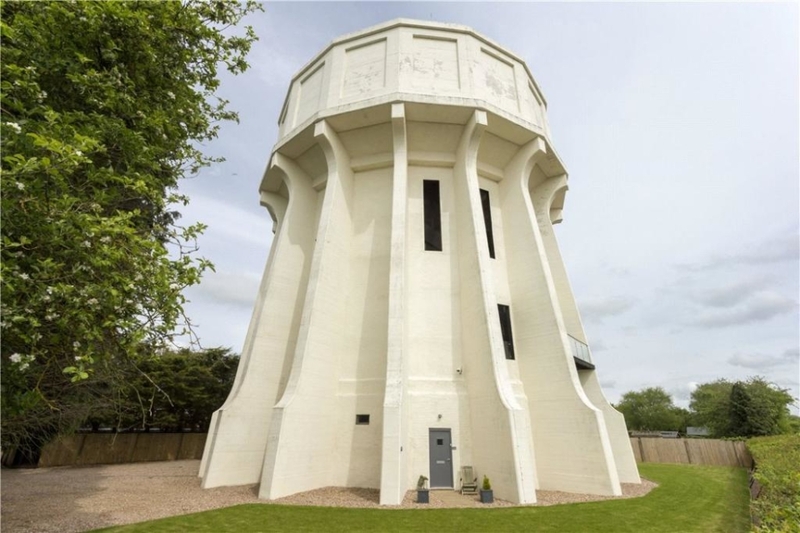 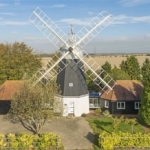 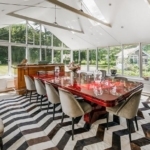 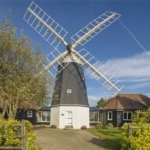 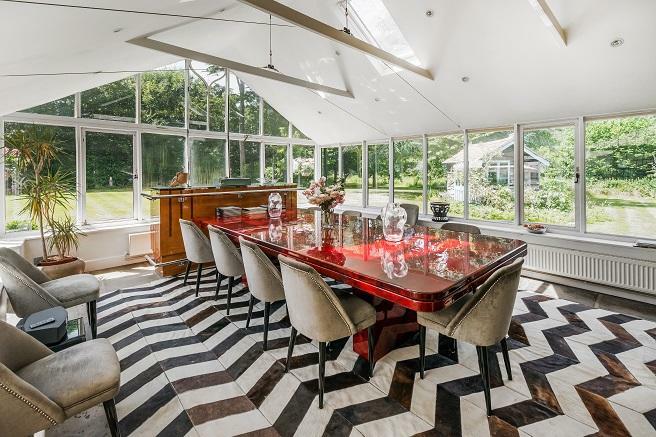 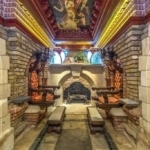 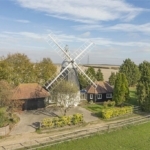 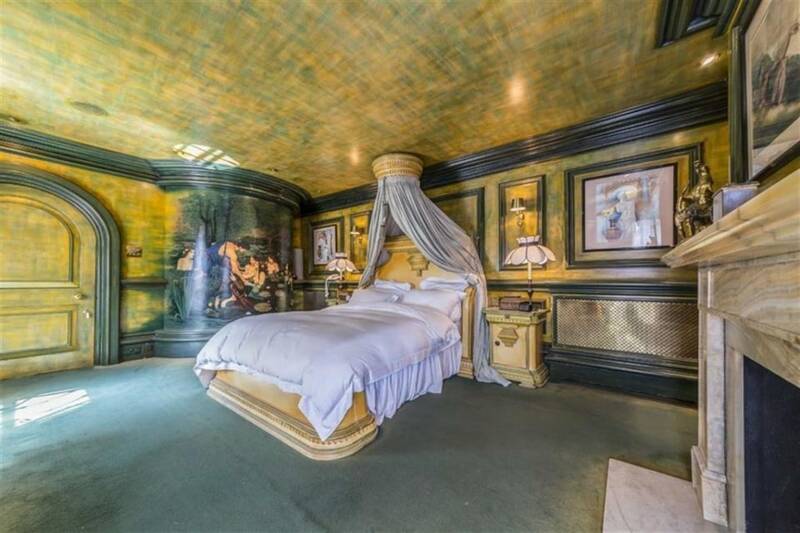 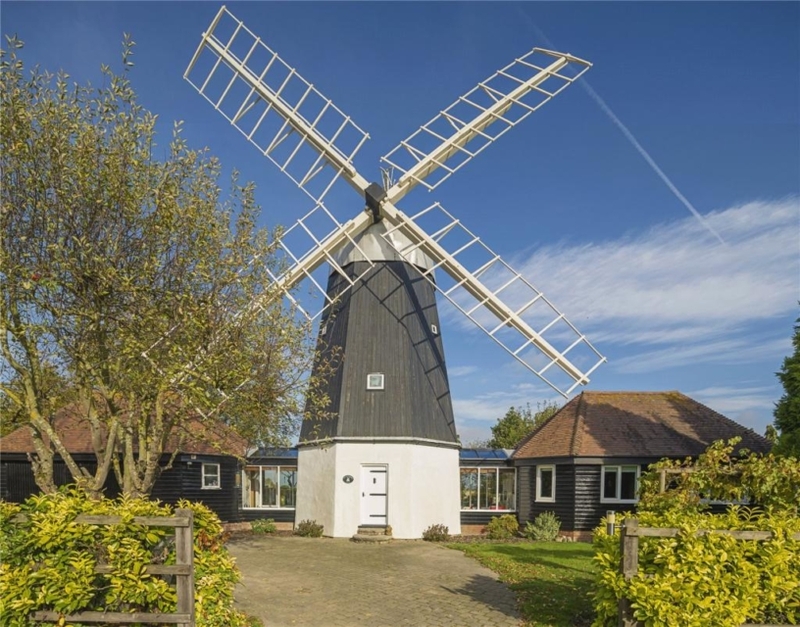 We round up our favourite quirky and unusual properties on Rightmove that are listed for sale right now. 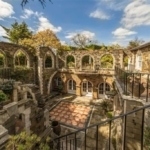 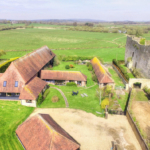 Among our highlights are a sunken Venetian style palace, a property with its very own grass-roofed hobbit home in the garden and an old church filled with character. 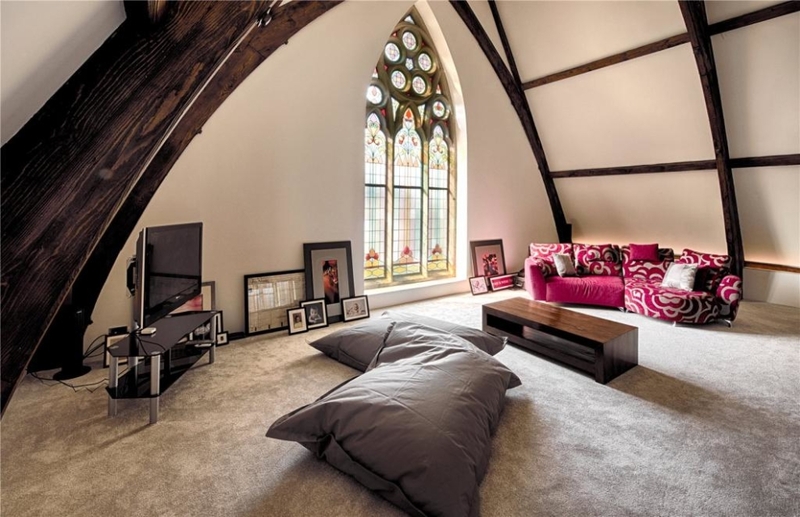 Which is your favourite find? 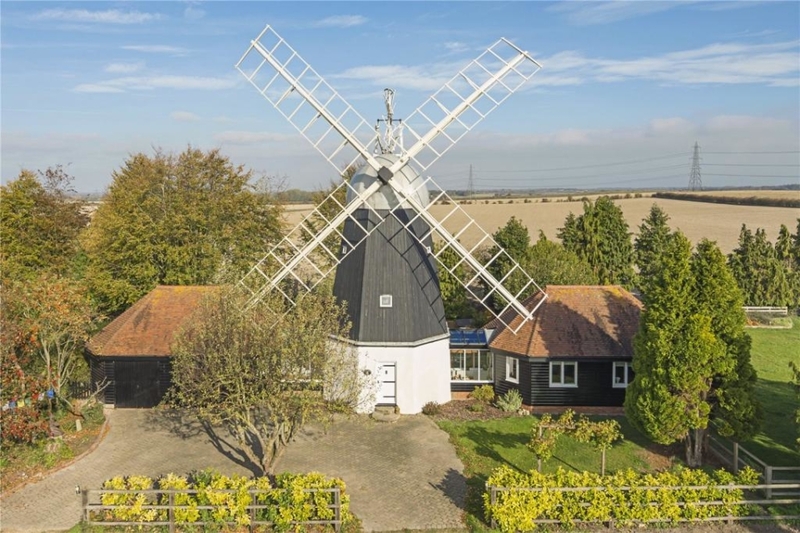 This three bedroom property is actually a renovated and extended windmill in the village of Swaffham Prior. 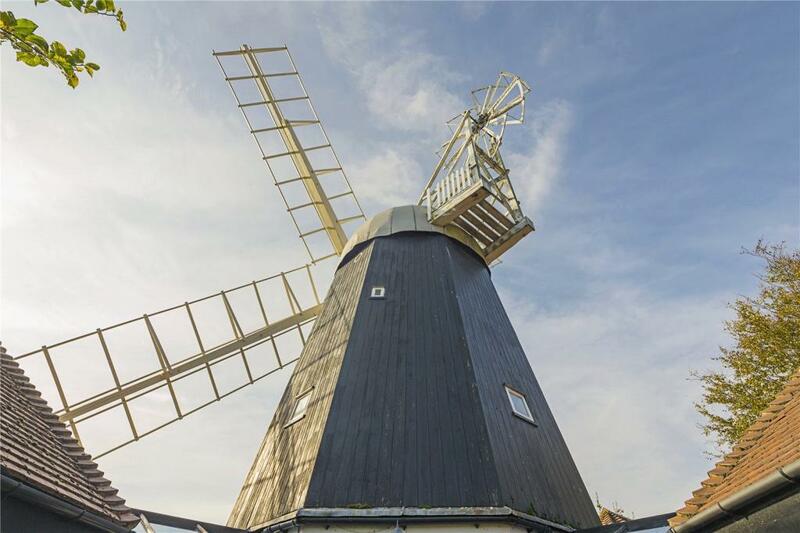 The building has been kept in fantastic condition having had its beautiful sails replaced as recently as 2017. 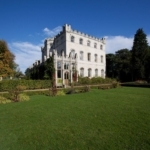 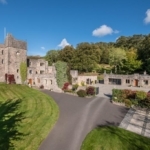 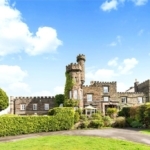 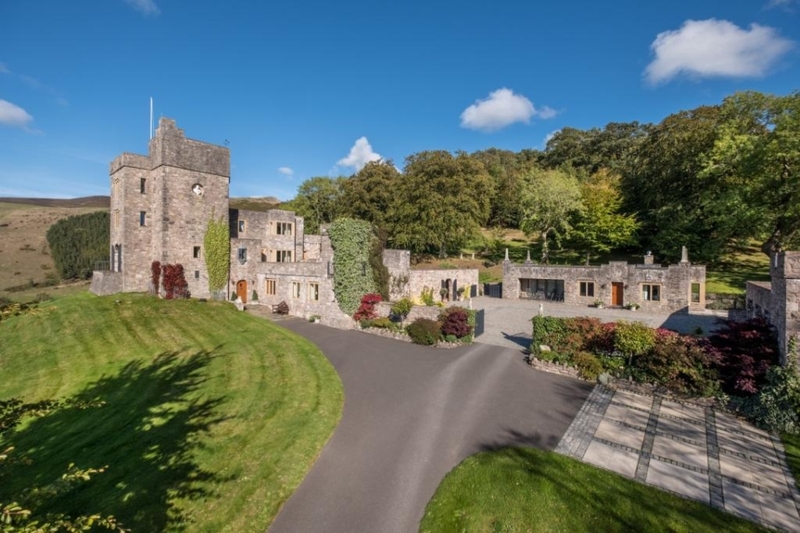 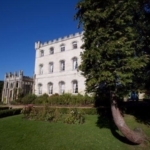 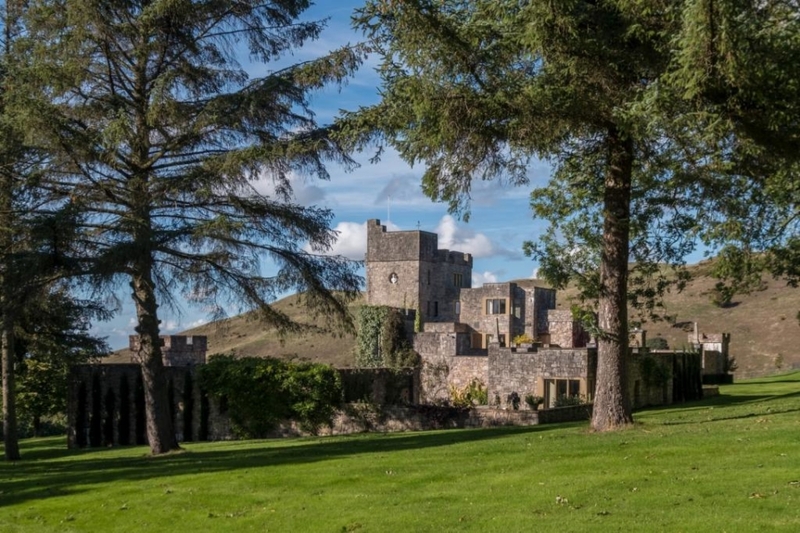 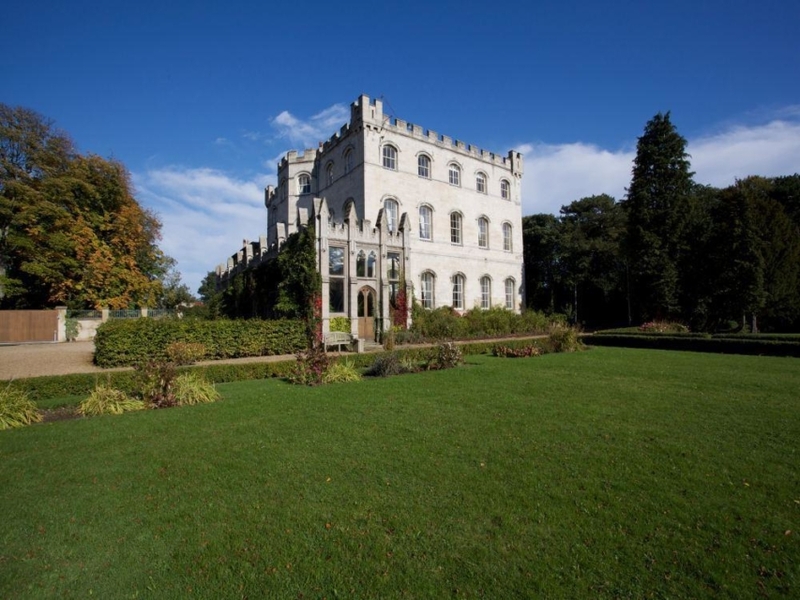 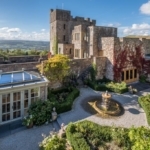 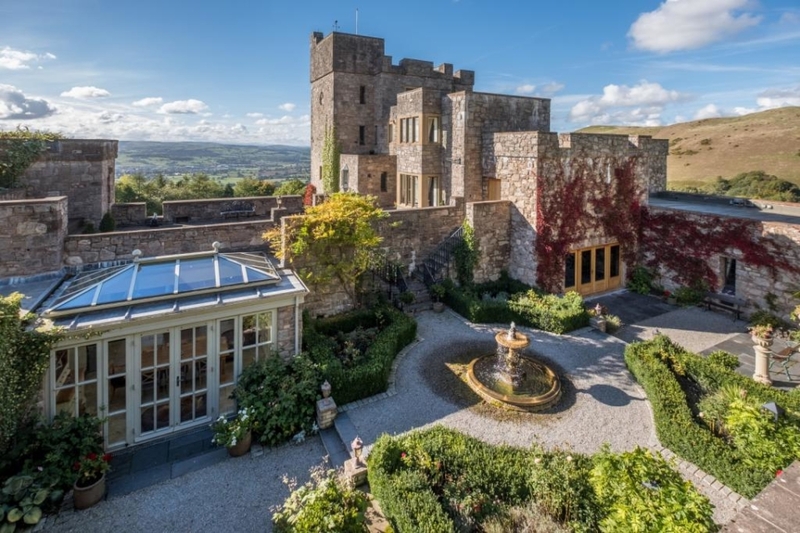 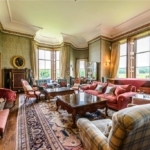 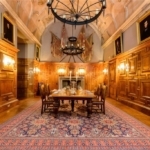 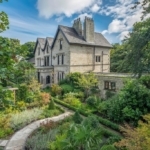 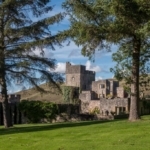 This fantastic building is Castle Eden, a Grade II listed castle that boasts everything from a grand reception hall and drawing room to a games room, breakfast kitchen and nine bedrooms in total. 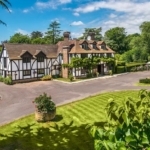 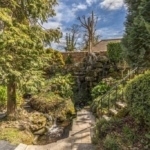 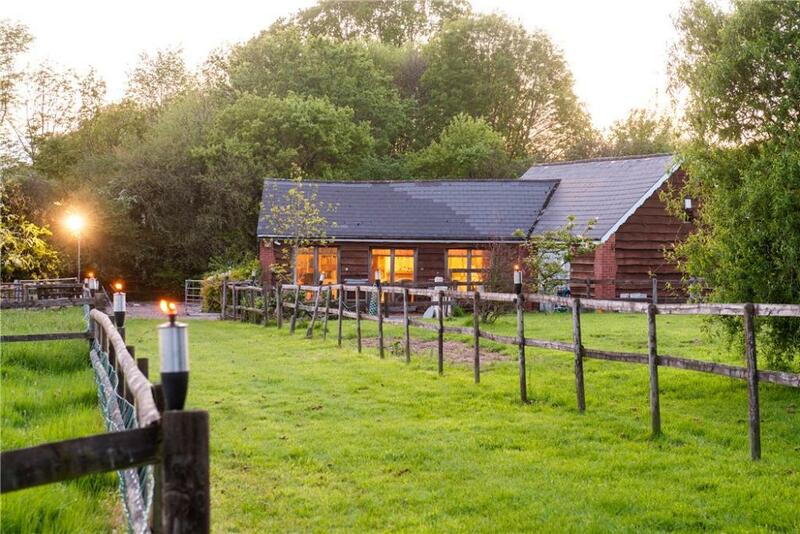 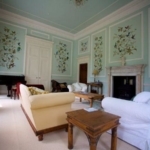 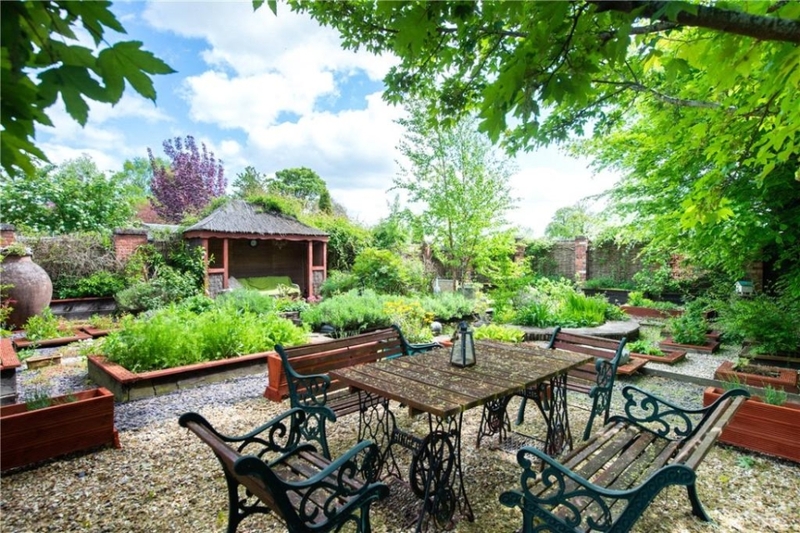 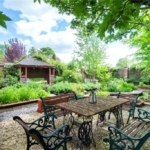 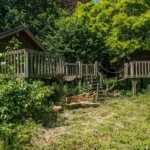 The property also enjoys 14 acres of wonderfully landscaped gardens and woodland. 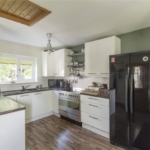 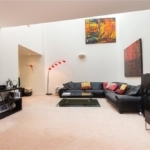 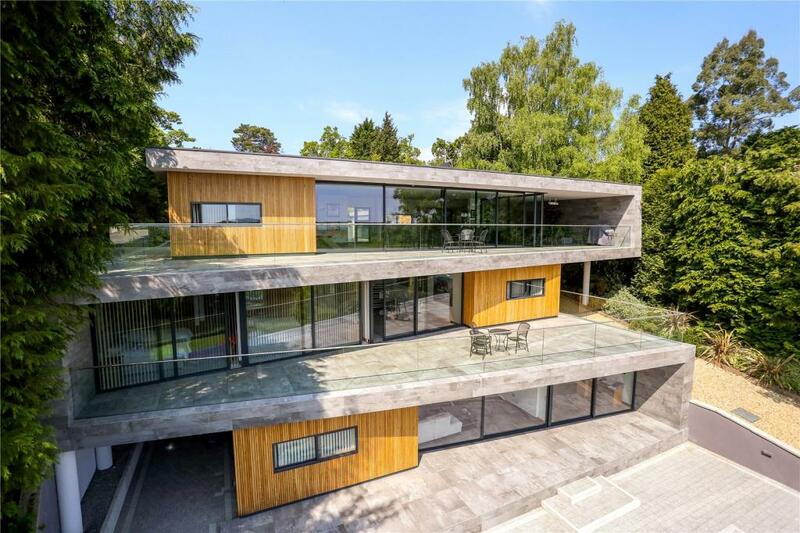 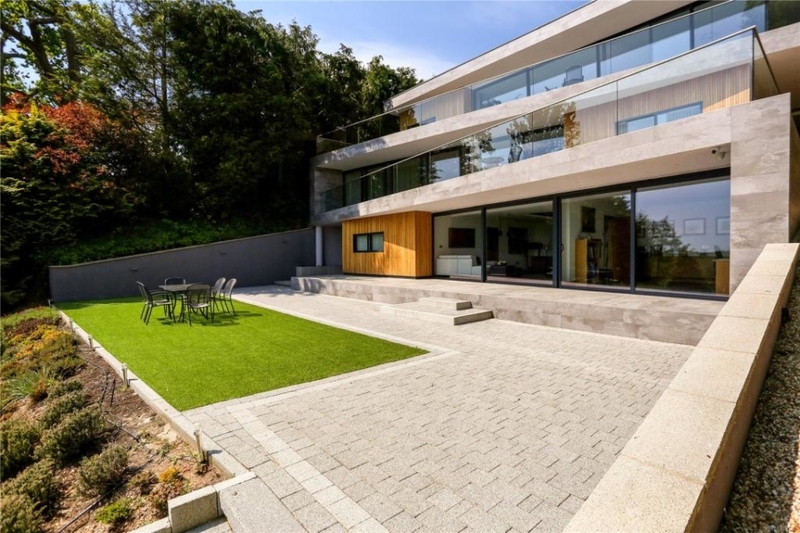 This modern property offers four bedrooms along with a host of modern amenities like electronic security gates and a passenger lift. 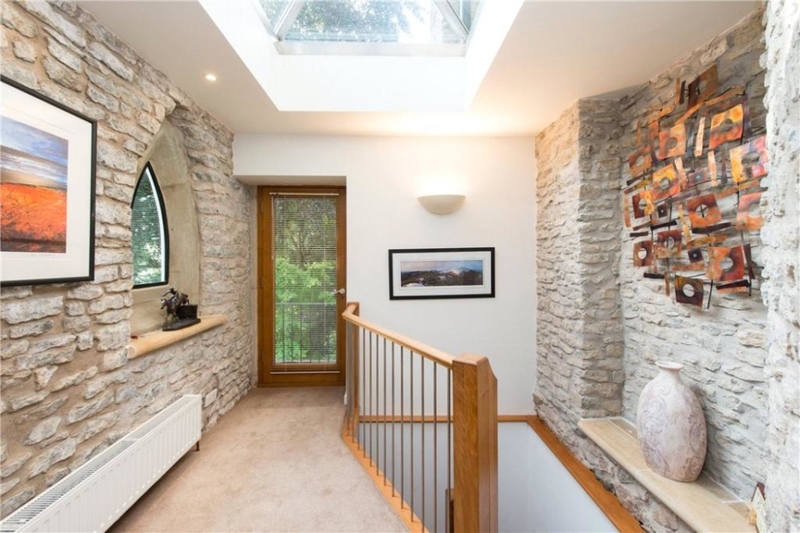 It also enjoys direct access to the River Avon and provides a wonderful contrast of a modern aesthetic set within beautiful natural gardens. 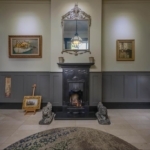 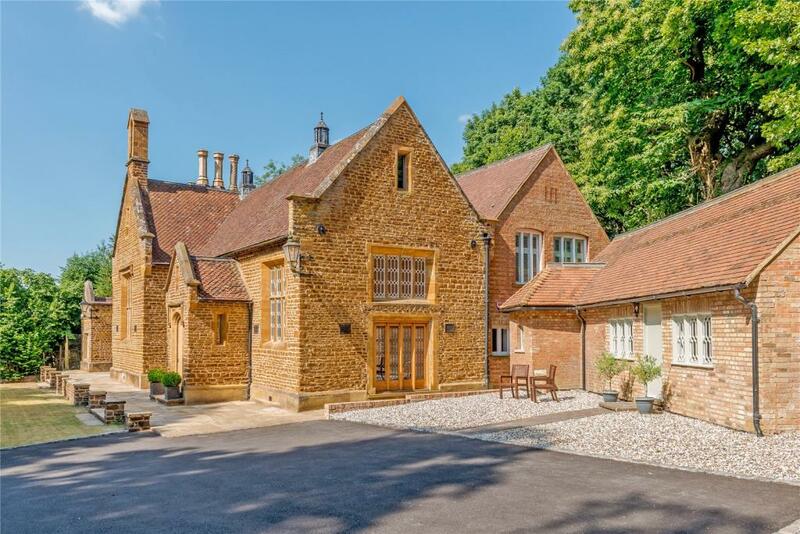 The Old School Works is a four bedroom Grade II listed family home converted from a former schoolhouse. 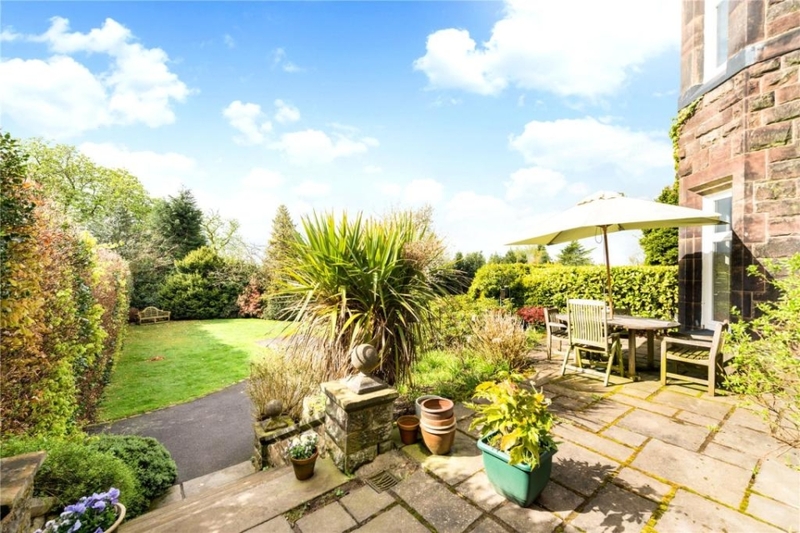 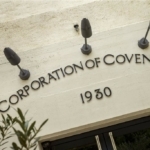 What’s fantastic about this place is that it comes with the bonus of a wonderful self-contained annex on its grounds. 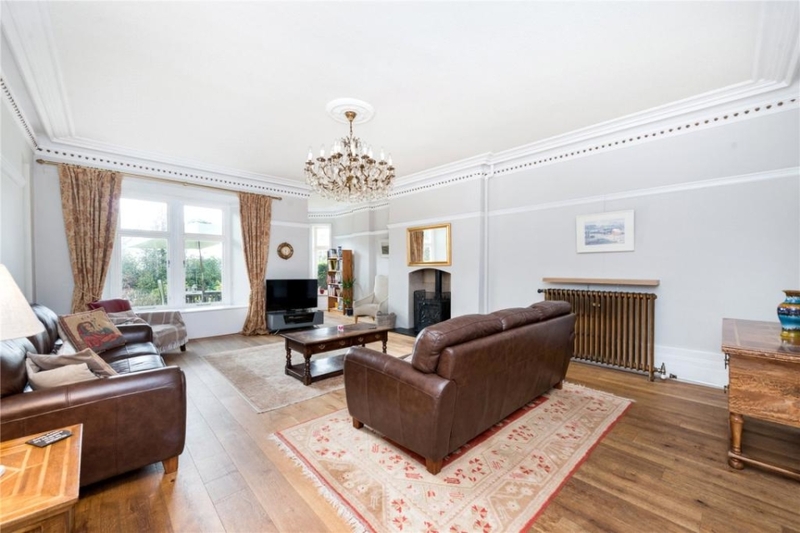 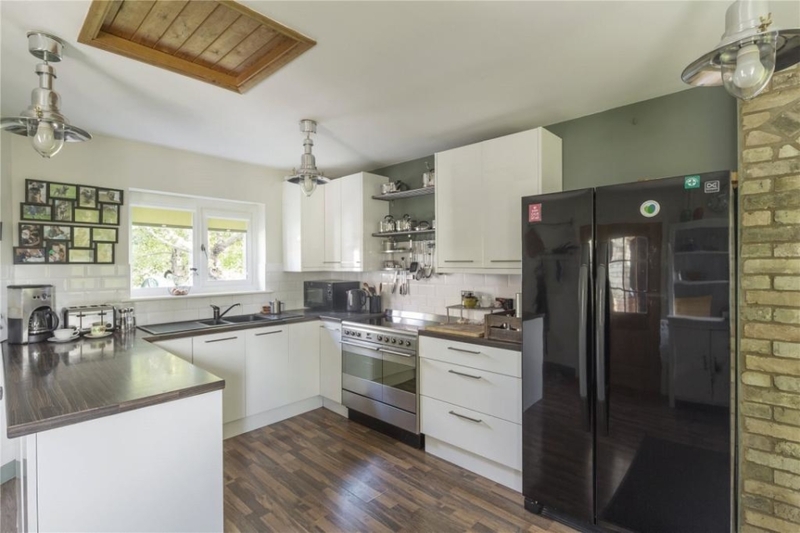 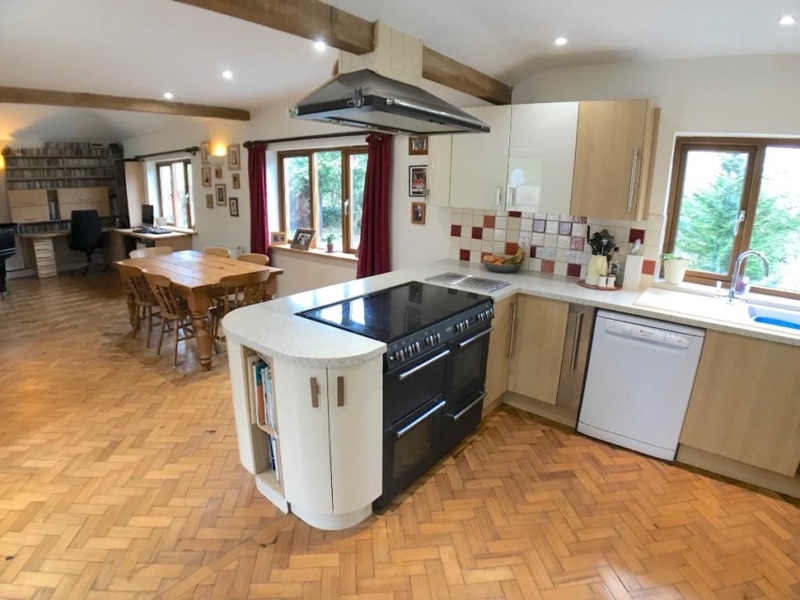 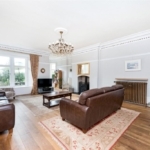 This five-bedroom home is bursting with character and includes three bedrooms plus an en-suite master room along with a host of extras like a garden room, gymnasium and a hobby room. 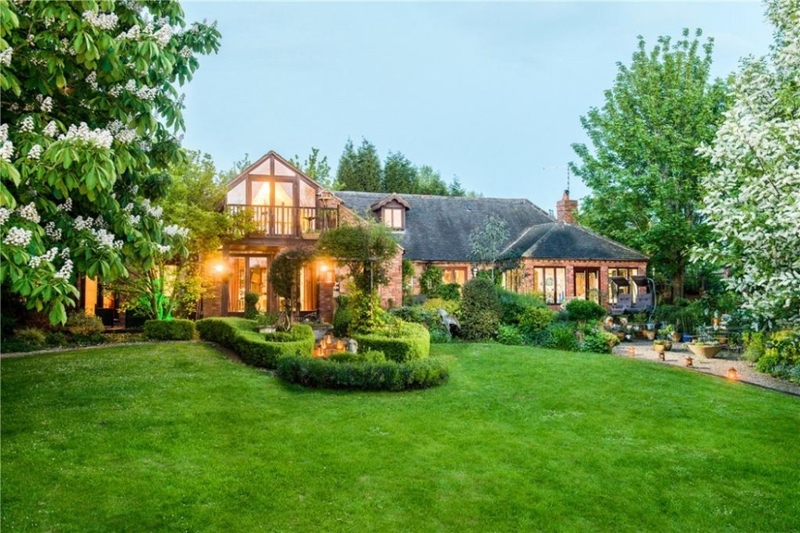 Outside, the property impresses with a greenhouse, chicken coop and a hidden vegetable garden along with a field boasting three paddocks. 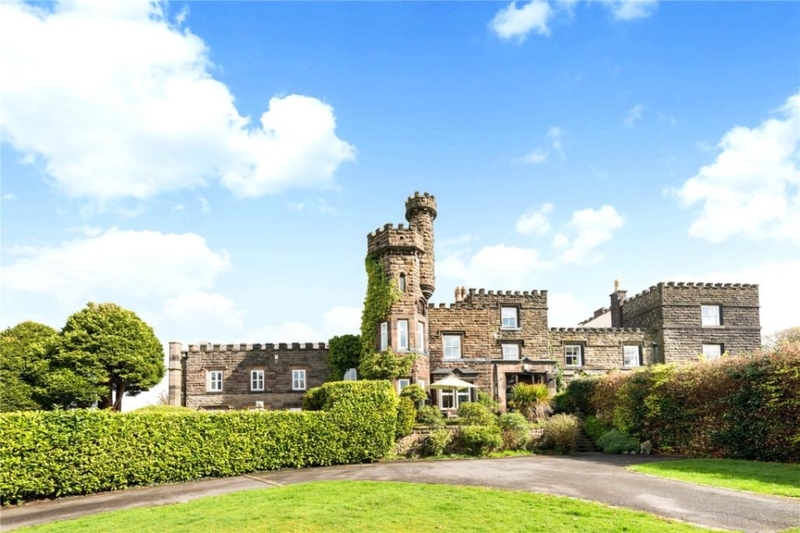 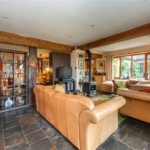 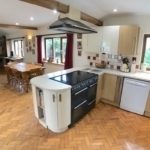 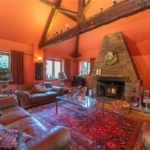 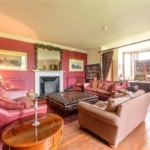 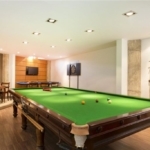 Castell Gyrn sits just outside of the popular Welsh town of Ruthin and enjoys a commanding position that boasts amazing panoramic views of the Clwyd Valley. 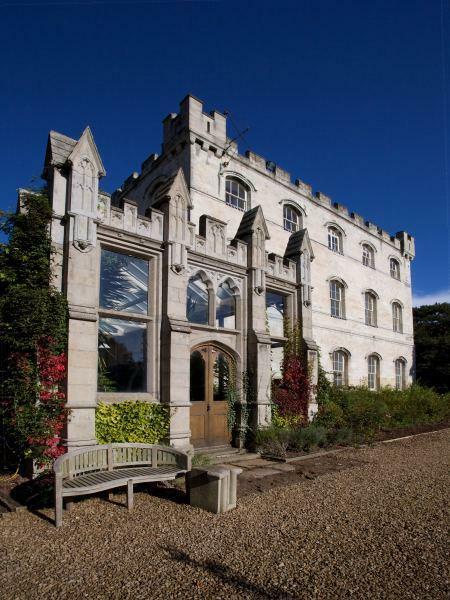 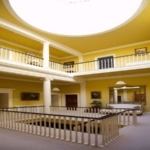 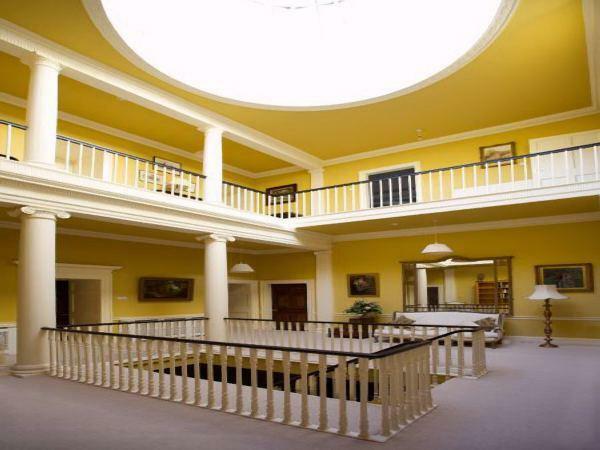 The building provides a striking piece of architecture, extensive accommodation and more than ten acres of countryside. 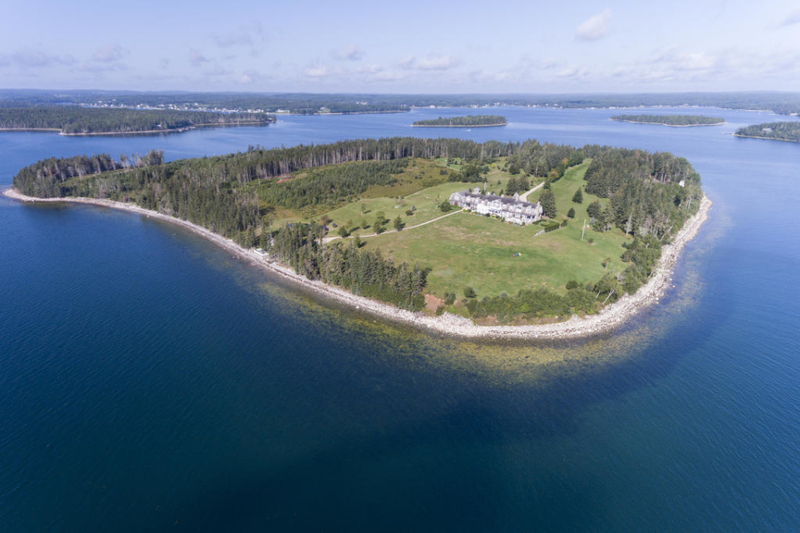 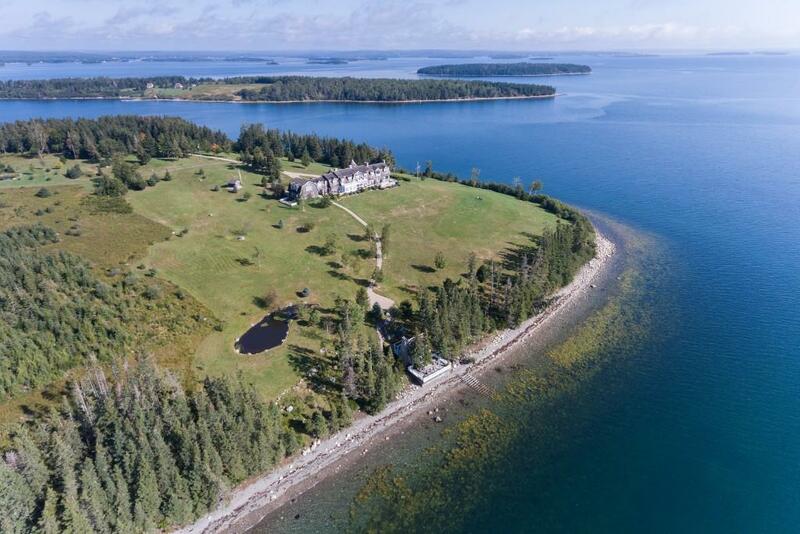 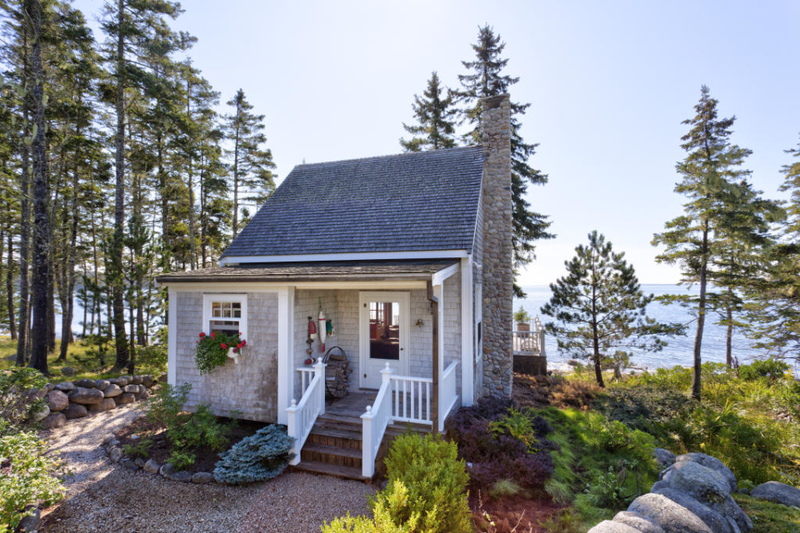 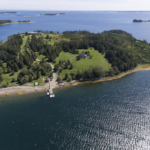 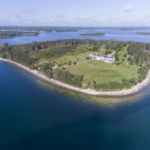 Situated in Mahone Bay in Nova Scotia, Canada is Kaulbach Island – boasting almost 60 acres of land covered in woods, meadows and coastline. 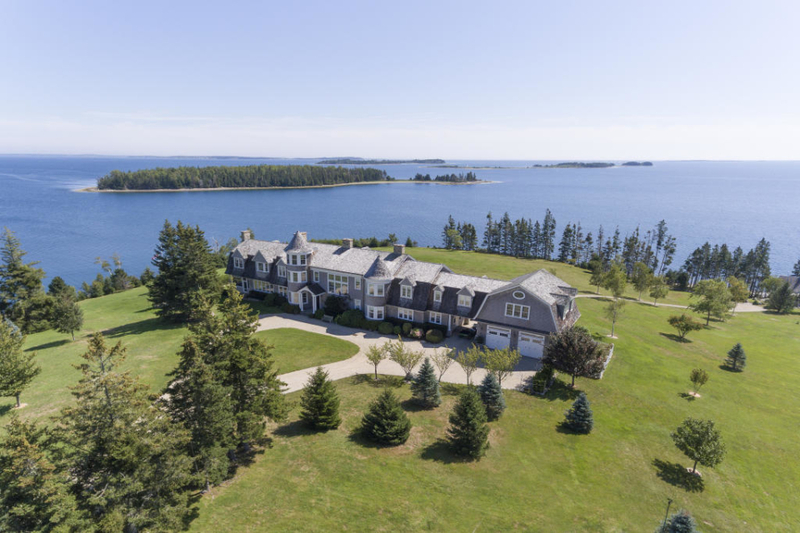 Right in the heart of the island is an 11-bedroom property in the style of Cape Cod homes while across the island you’ll find a beach house and a small farm as well. 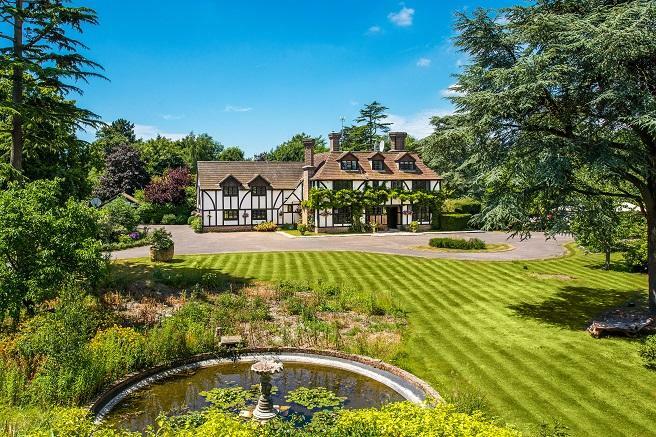 In Chichester sits this impressive Tudor-style six-bedroom home set within beautiful garden grounds that include a delightful pond and a treehouse that will definitely please the big kids out there. 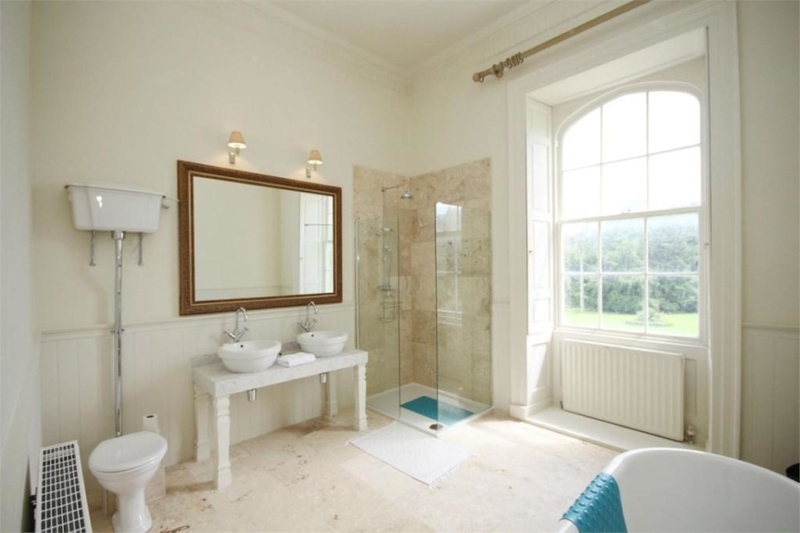 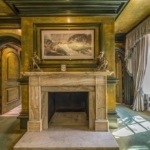 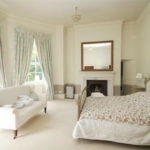 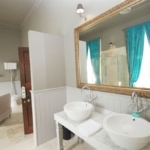 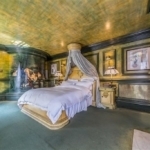 The home itself features a drawing room, dining room and all en-suite bathrooms for the bedrooms. 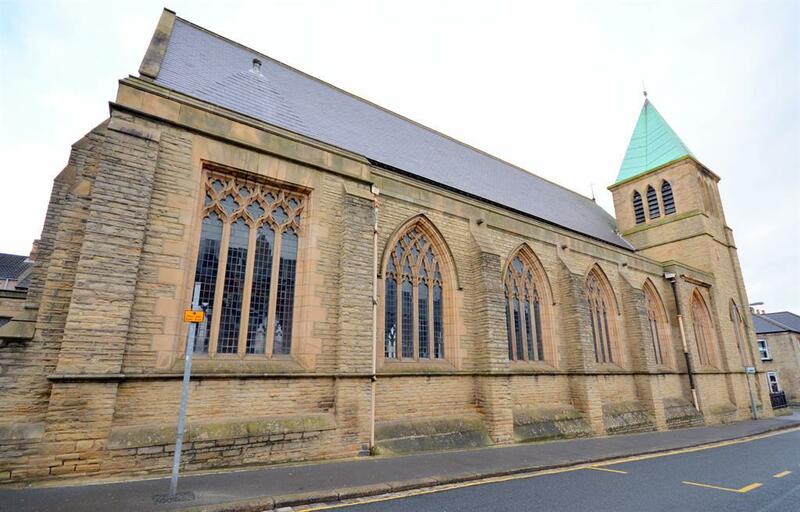 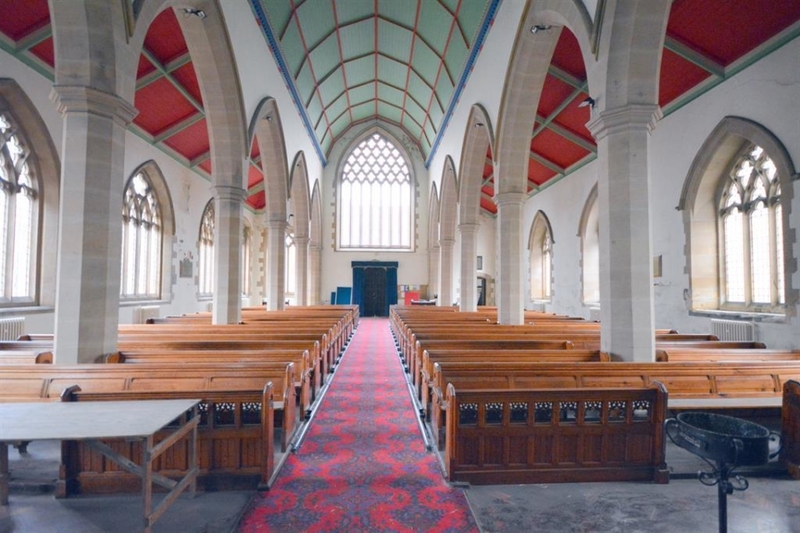 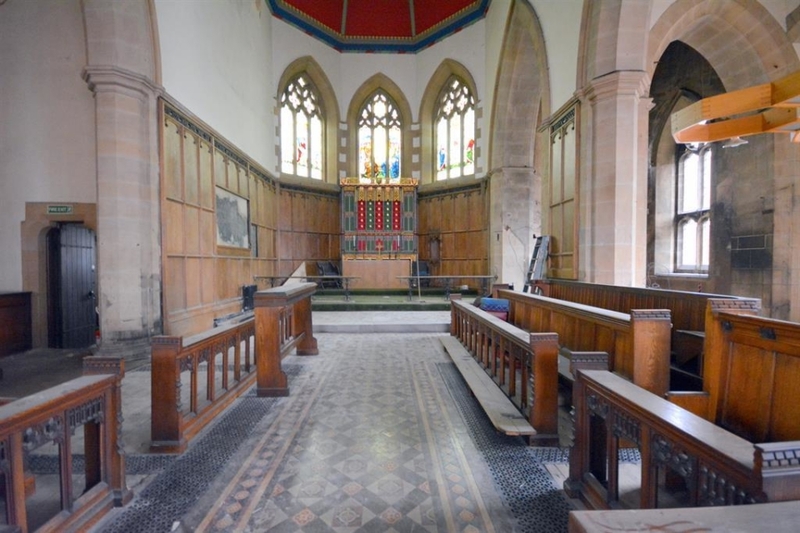 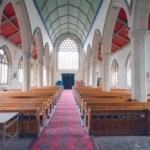 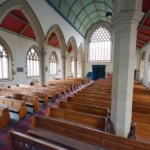 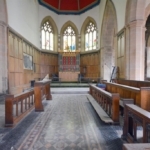 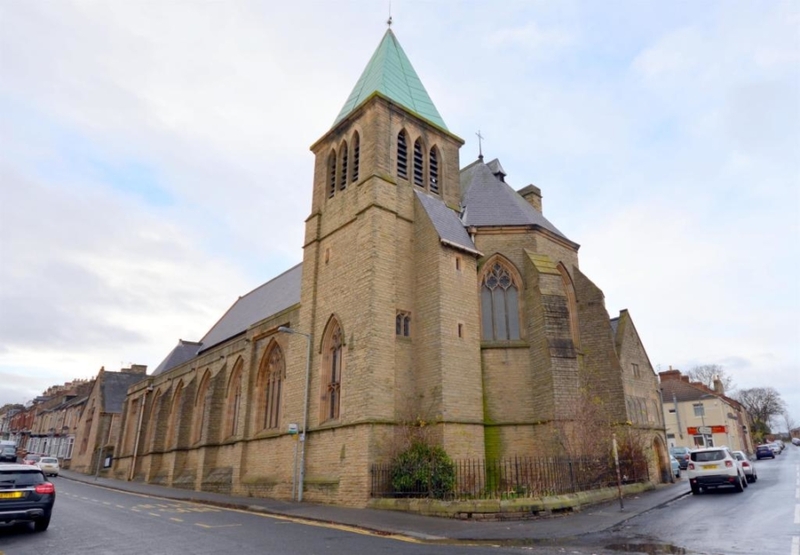 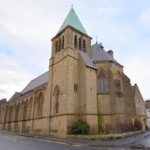 Over in Bishop Auckland is this unusual property – the Grade II listed building of St. Peter’s Church. 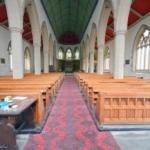 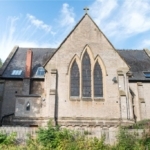 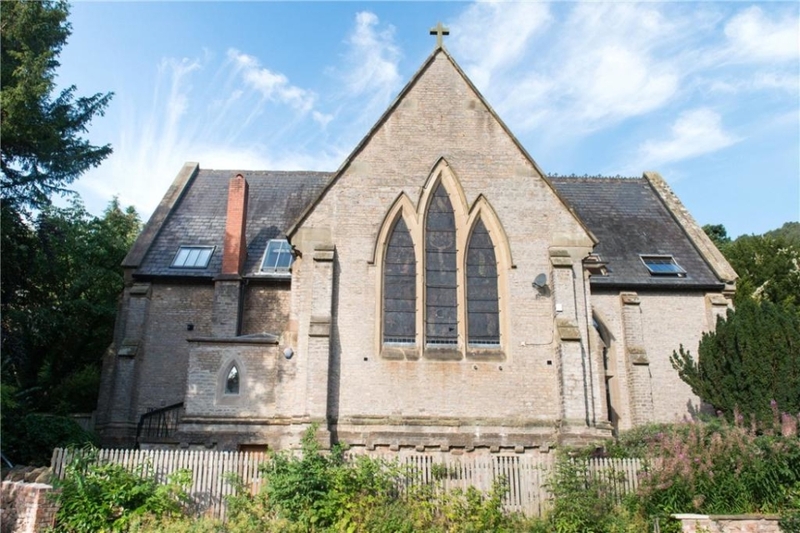 With the potential to be developed into a six-bedroom dwelling – or countless other potential uses – the nearly two hundred year-old church is a fantastic piece of architecture. 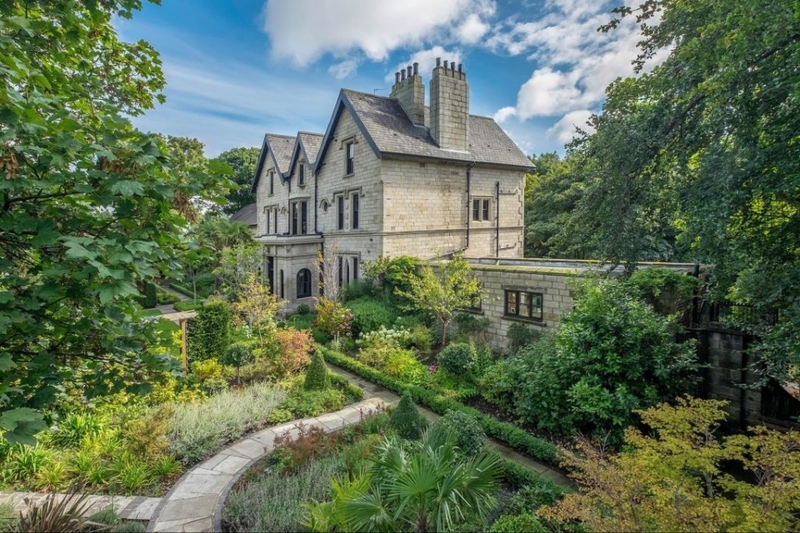 This seven-bedroom property in Seaham was built back in 1857 and boasts all en-suite bedrooms and luxurious accommodation across three floors. 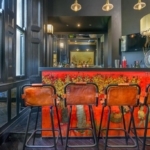 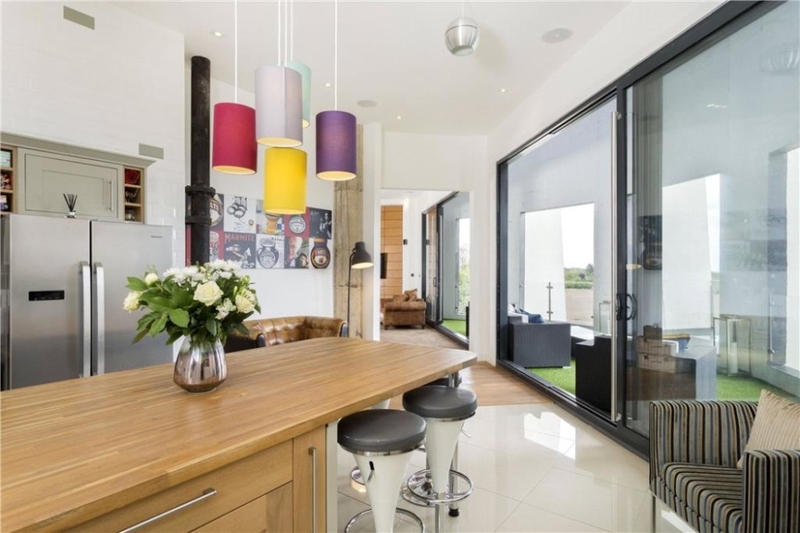 But perhaps its most exciting feature is that stunning looking home bar, perfect for entertaining or unwinding after a stressful day. 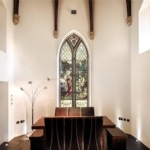 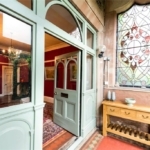 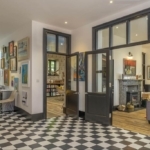 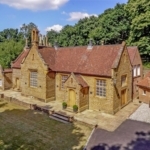 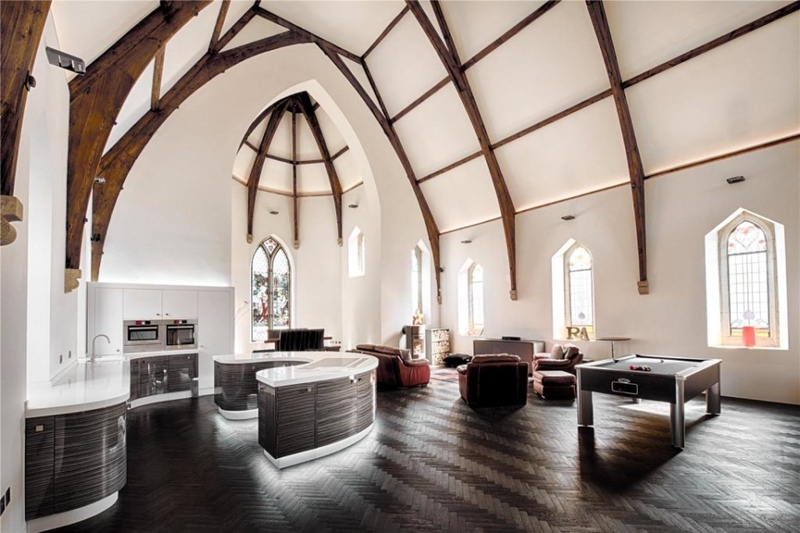 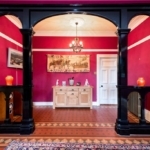 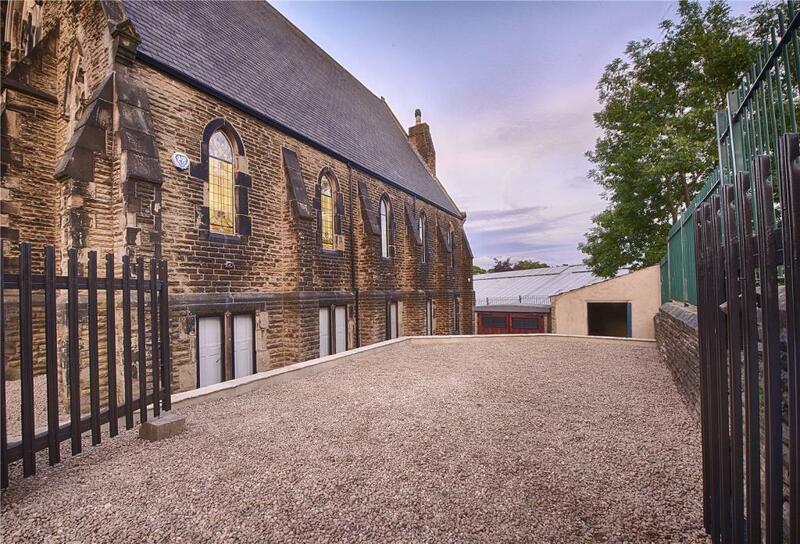 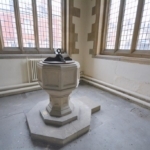 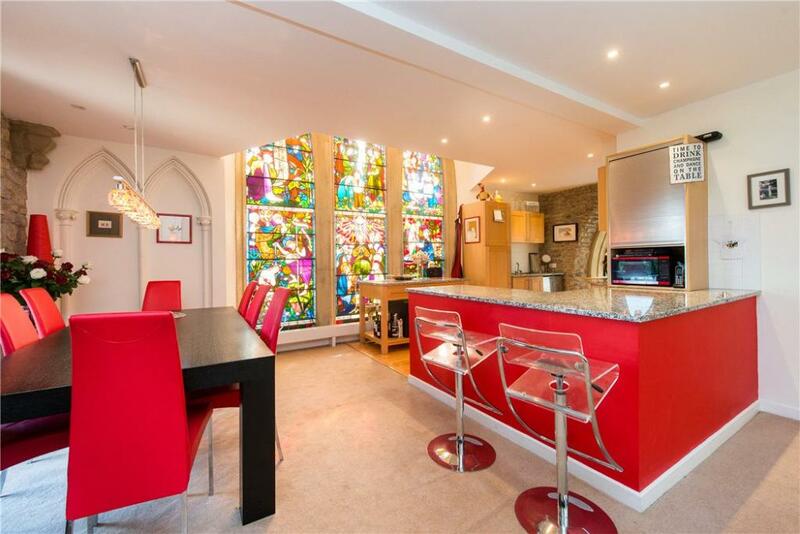 This three-bedroom property is a beautifully converted church building that thankfully still has many of its original features. 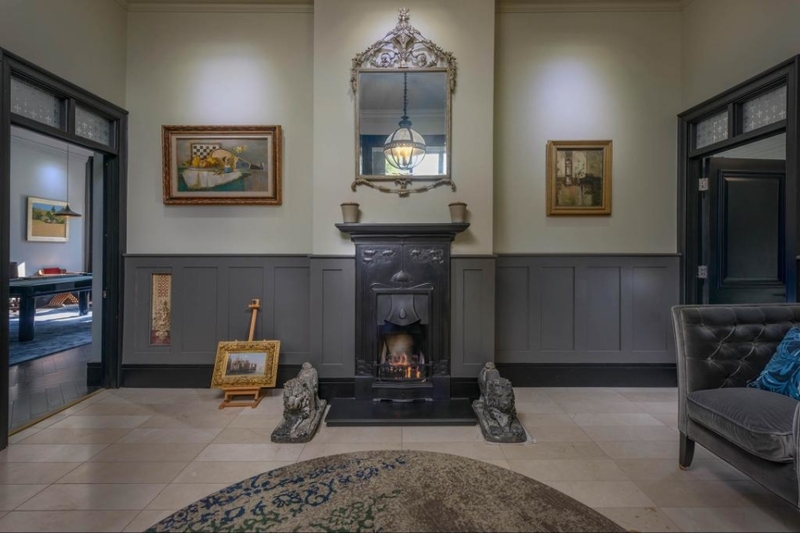 The renovations have enabled it to become a practical space for the family that retains all the character of its 19th century architecture. 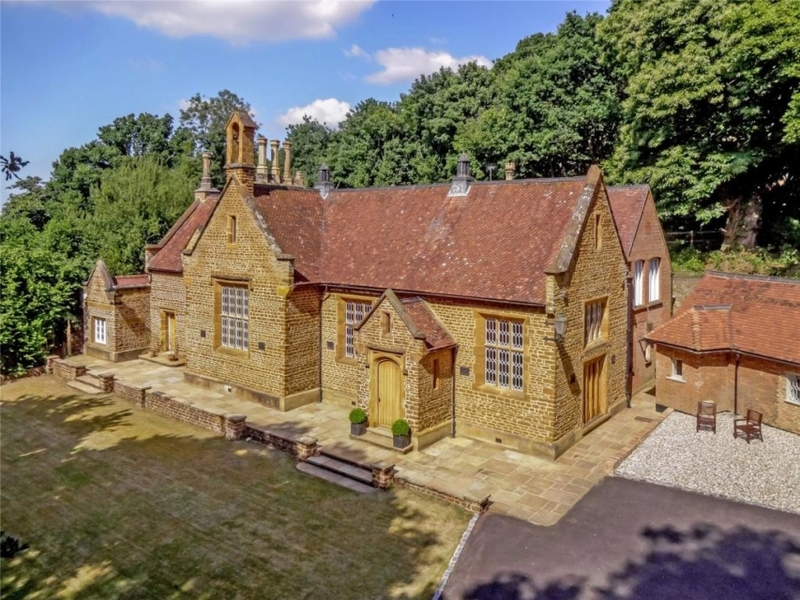 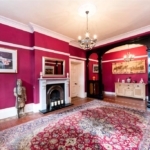 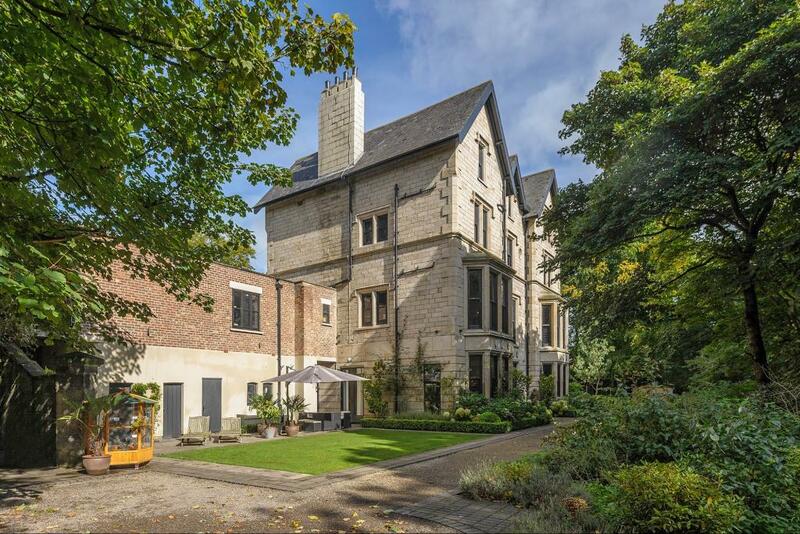 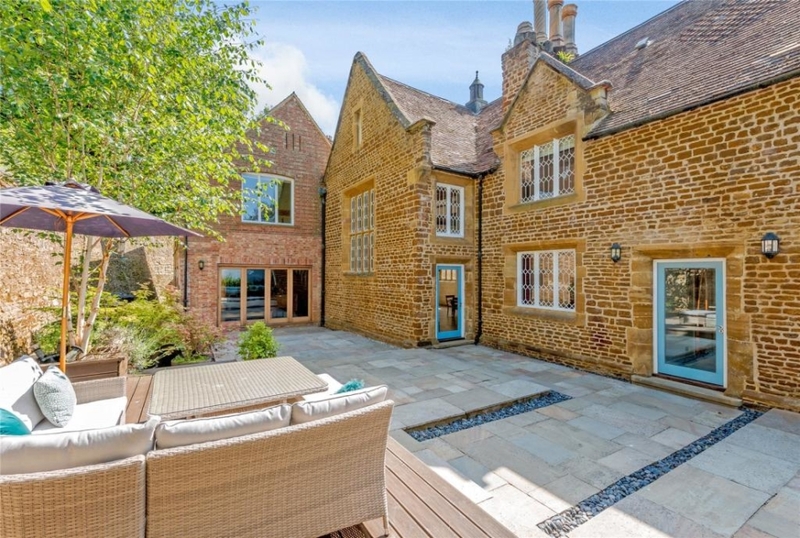 Just a little different to your average four-bedroom family home, this Grade II listed property is certainly an eye-catcher. 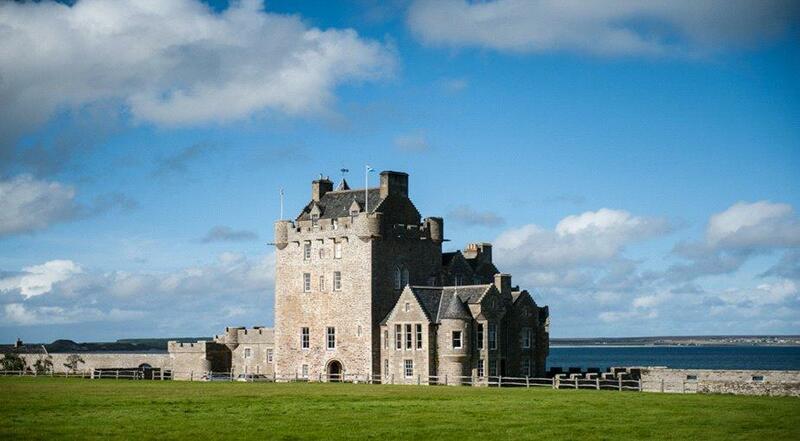 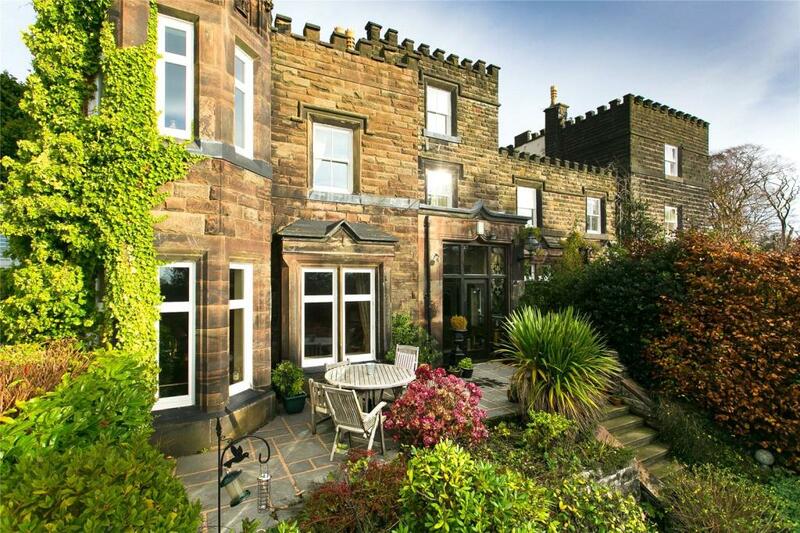 With its castellated walls and amazing castle style turret, could you see yourself living here? 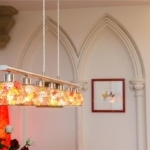 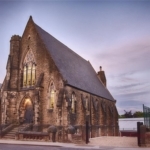 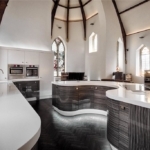 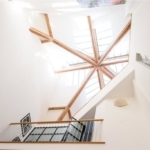 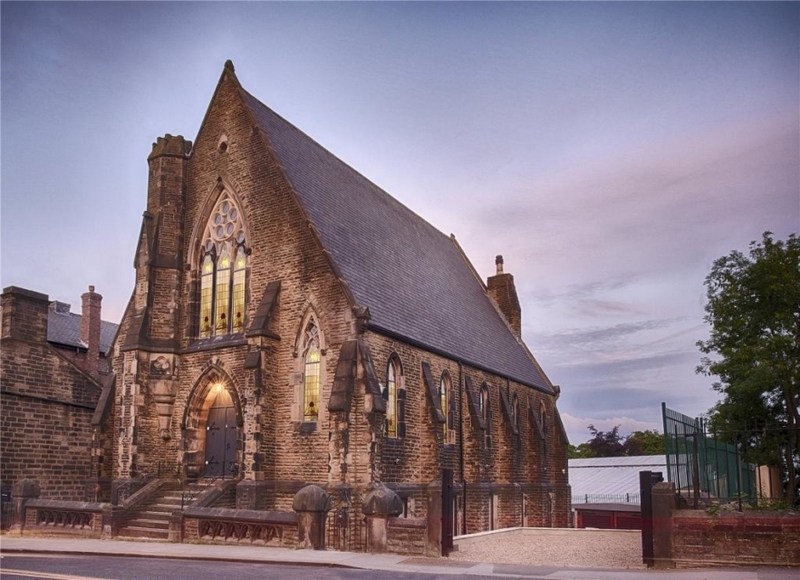 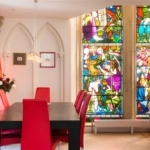 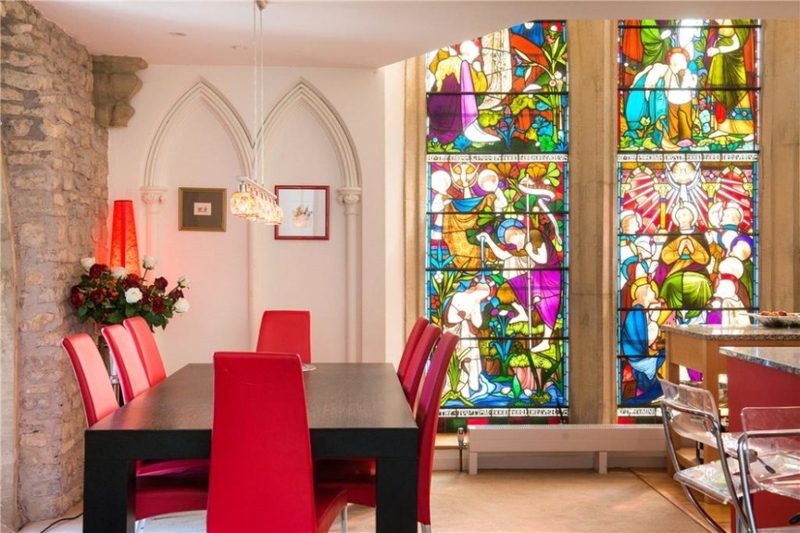 This home in West Yorkshire is a converted and modernised church that still retains lots of its original character features – including those incredible stained glass windows. 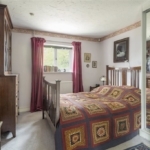 Enjoying five well-sized bedrooms and three large reception rooms, it could make the quirkiest home of all for a growing family looking to move. 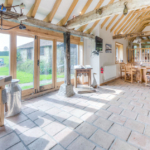 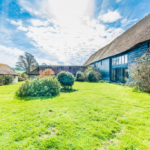 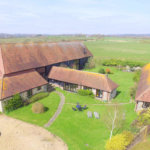 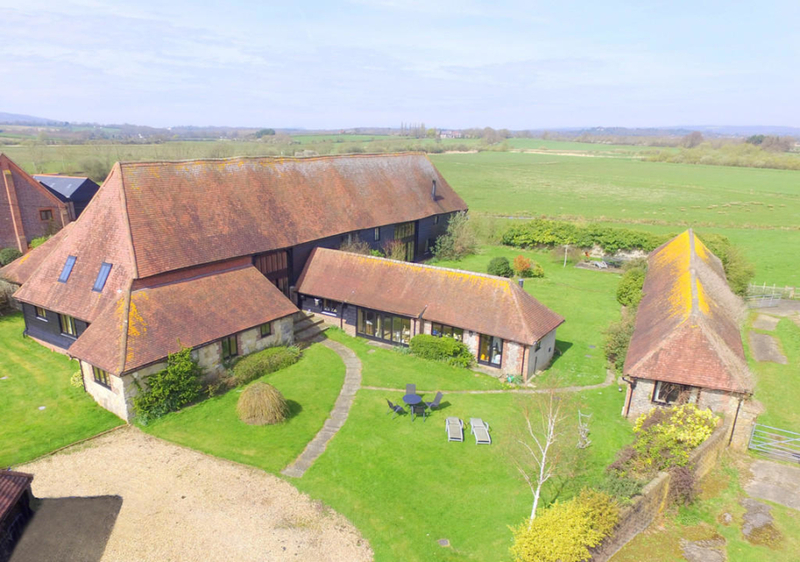 This six-bedroom property in Amberley is called ‘The Great Barn’ and enjoys four reception rooms, extensive gardens and even two separate one bedroom cottages on its grounds. 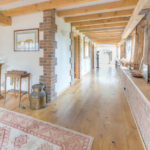 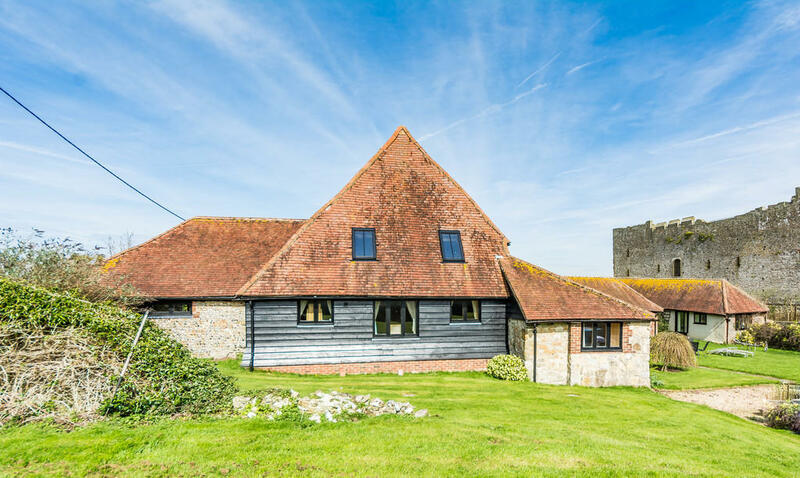 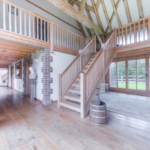 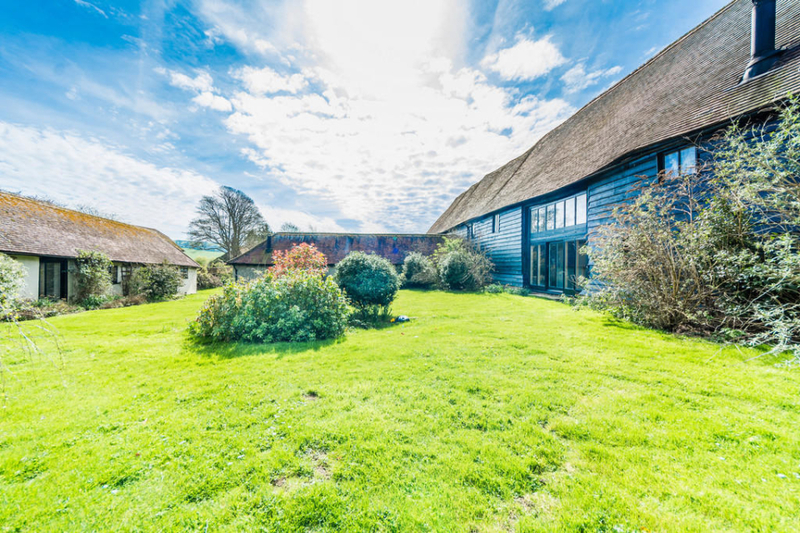 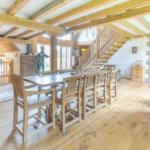 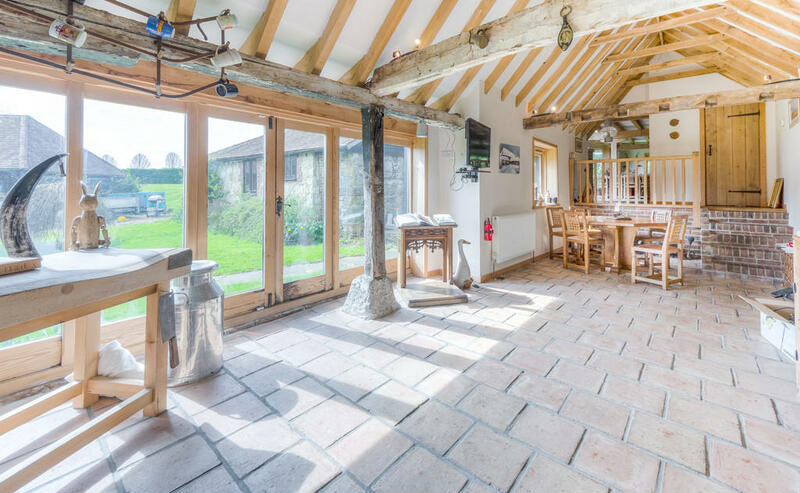 Lovingly converted by its current owners, it’s said to be one of the largest scale barn conversions ever completed. 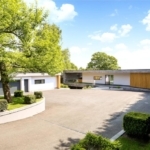 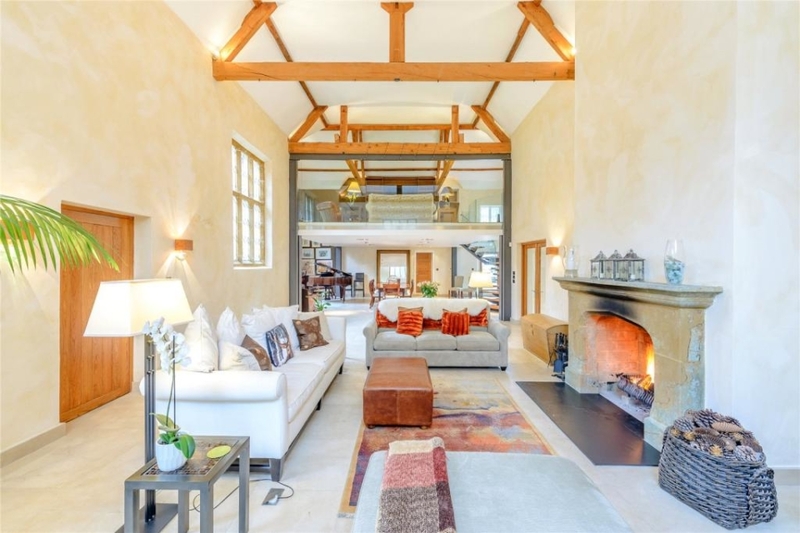 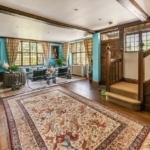 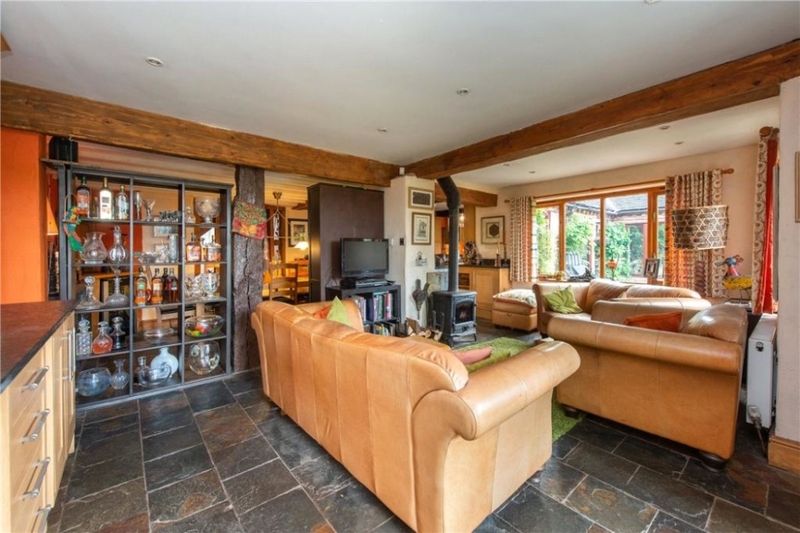 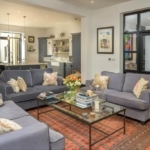 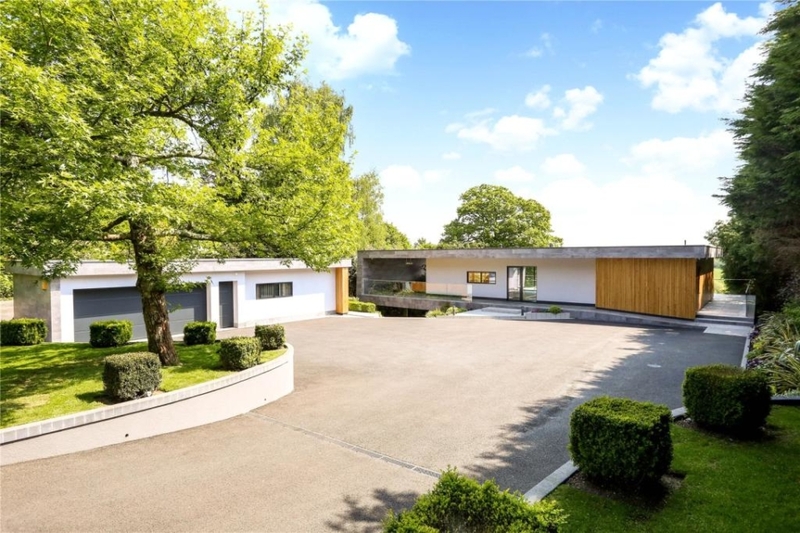 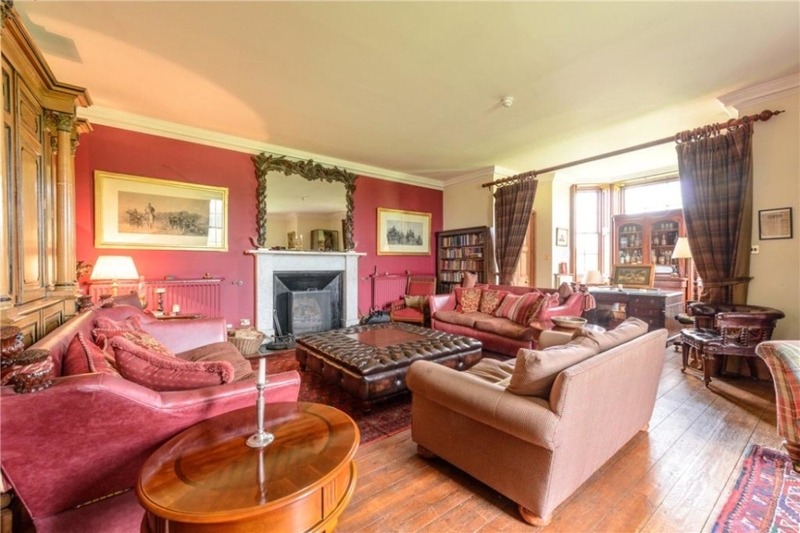 Over in Kenilworth, in Warwickshire, you will find a fantastic six-bedroom property that looks unlike anything else you are likely to have seen. 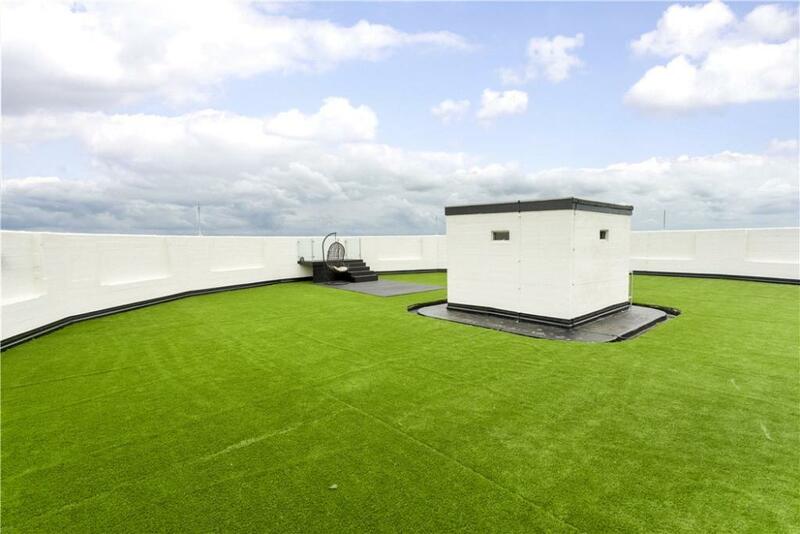 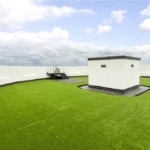 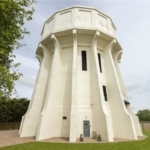 Converted two years ago from a redundant water tower, the home now has both contemporary fixtures and fittings along with a wealth of original features, our favourite among them being the roof terrace that gives you breath-taking views of the surrounding countryside. 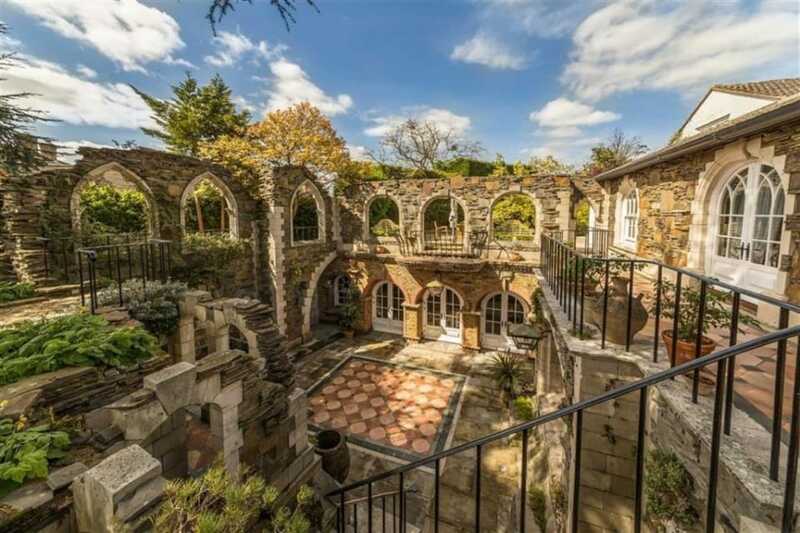 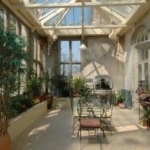 With 32 bedrooms under its roofs, this property is certainly grandiose in nature and definitely magnificent to behold. 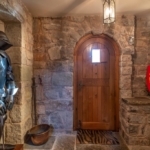 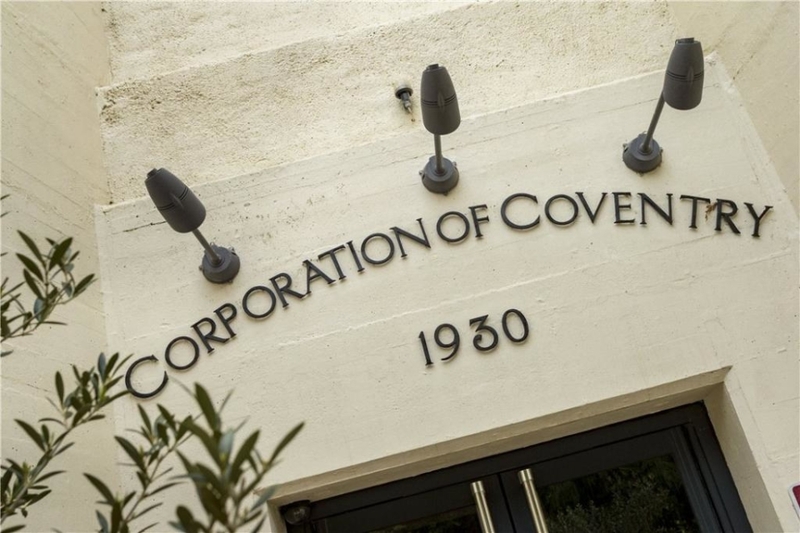 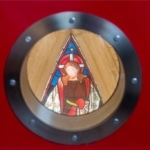 It actually dates back to the 15th Century after which it was extended in the 19th Century before a more recent renovation completed its development. 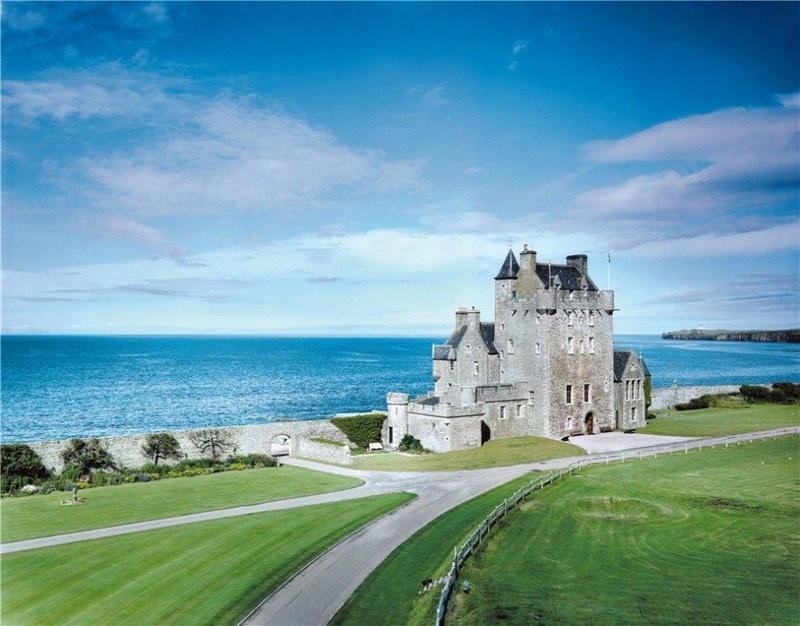 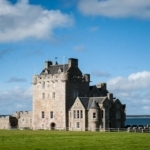 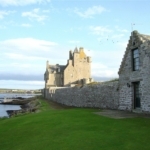 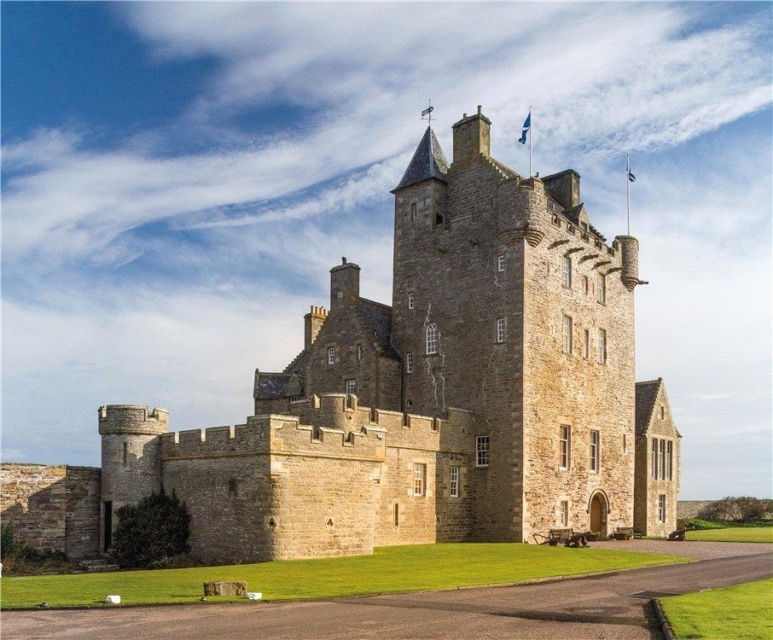 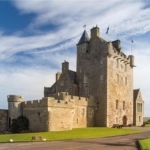 Enjoying 30 acres of its own land, as well as fishing rights to the waterfront nearby, Ackergill Tower is a truly beautiful find. 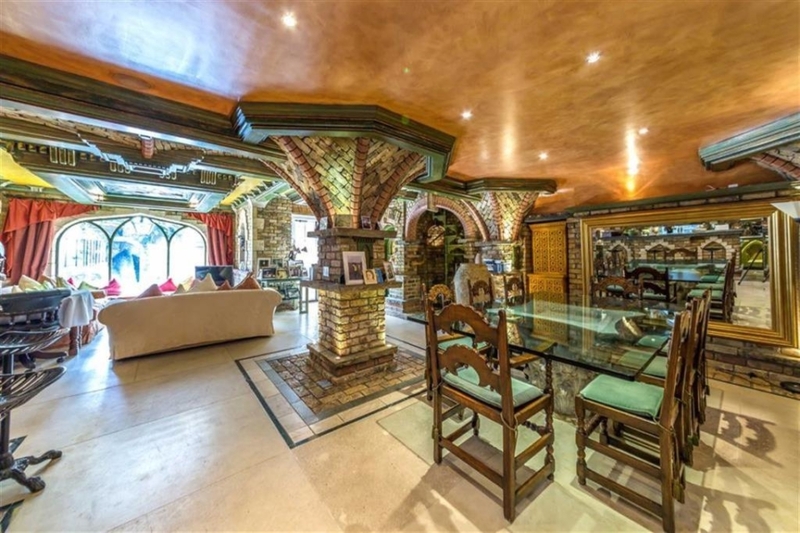 A 'sunken palace' with its own throne room... in Wraysbury! 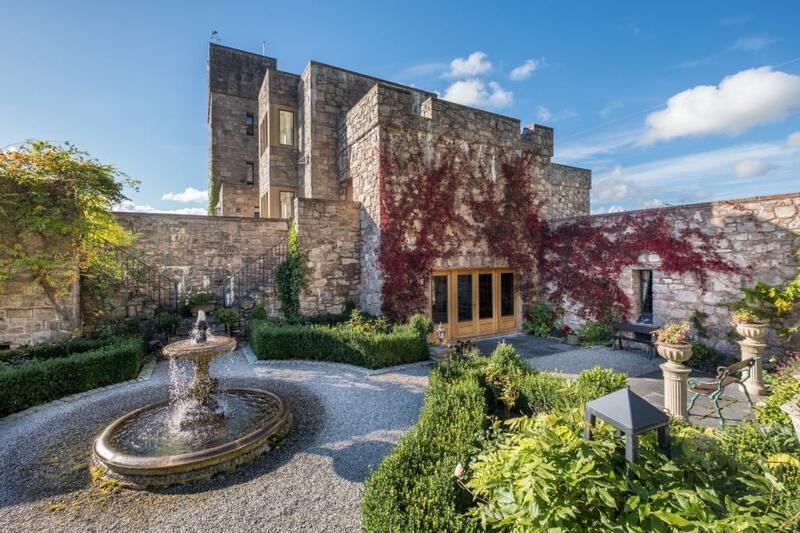 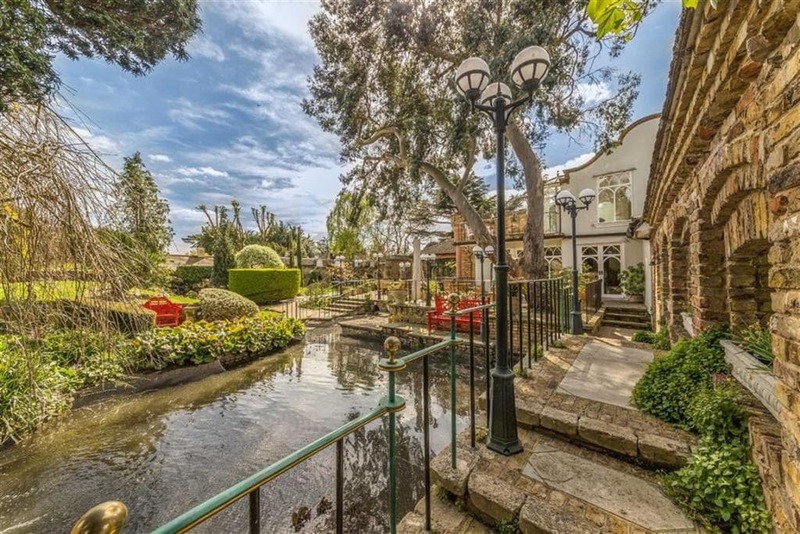 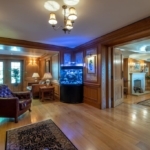 This bungalow has been transformed into a magnificent Venetian palace – boasting everything from a throne room and castle moat to a magical looking sunken garden. 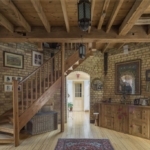 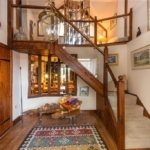 Lovingly crafted over a period of 30 years by the current owner, there are a lot of secrets and surprises hidden inside this unique property. 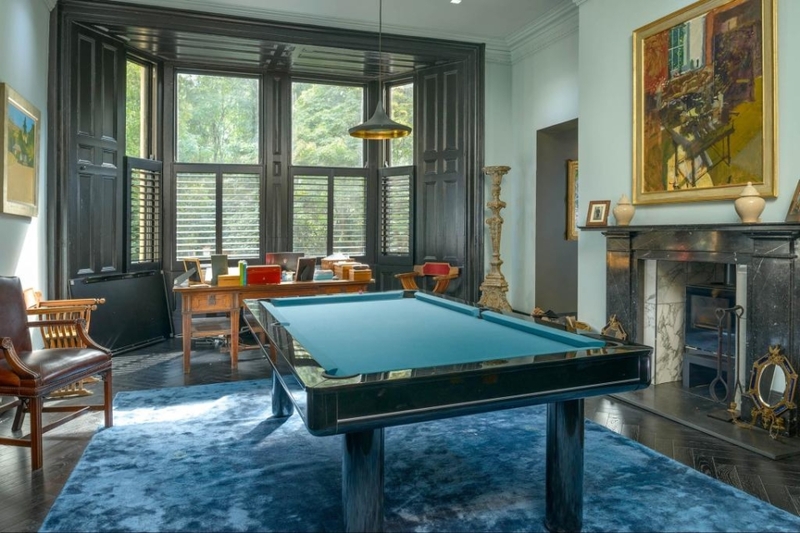 What can you spot? 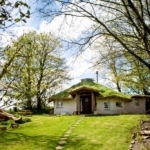 Ever wondered what it would really be like to live life like Bilbo Baggins from The Hobbit? 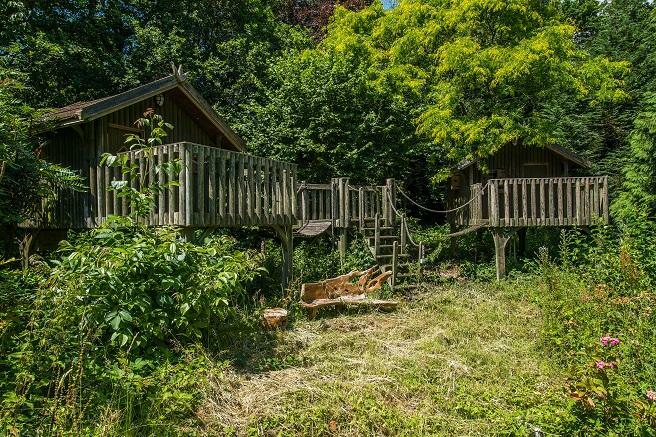 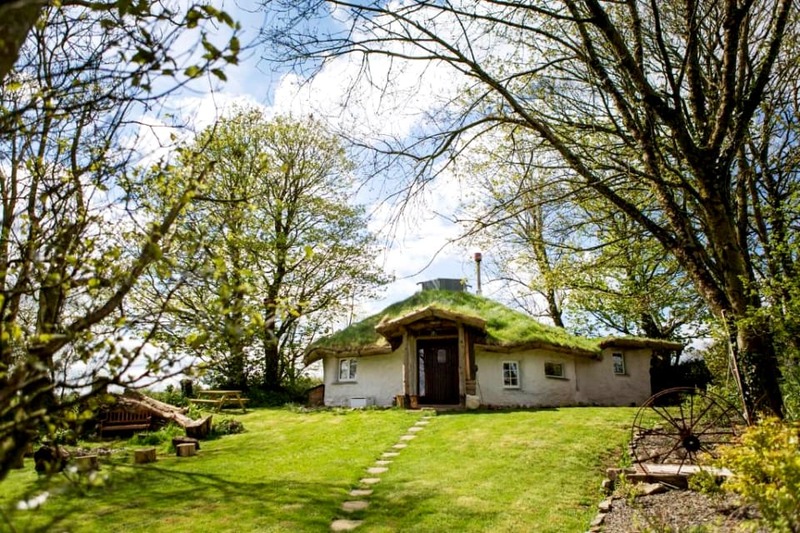 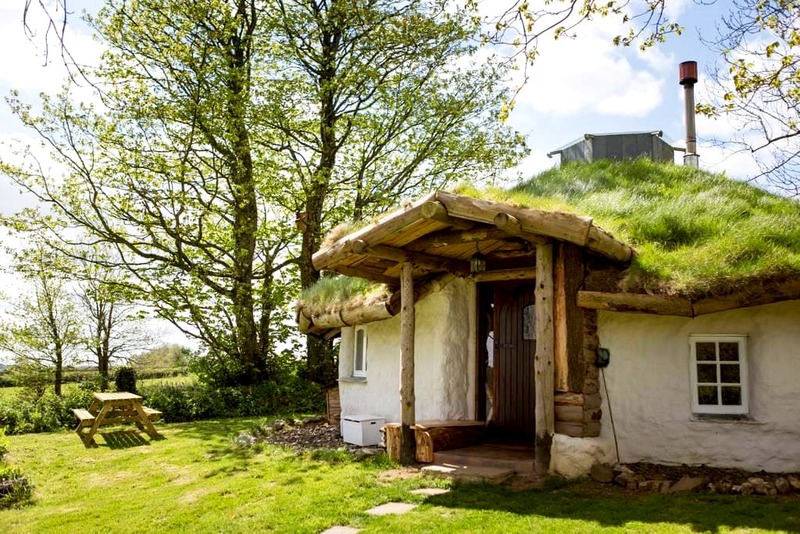 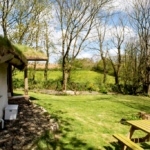 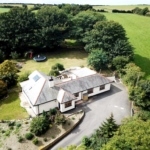 Then this Cornish home – that comes with a hobbit-style roundhouse in the garden, could well be the one for you. 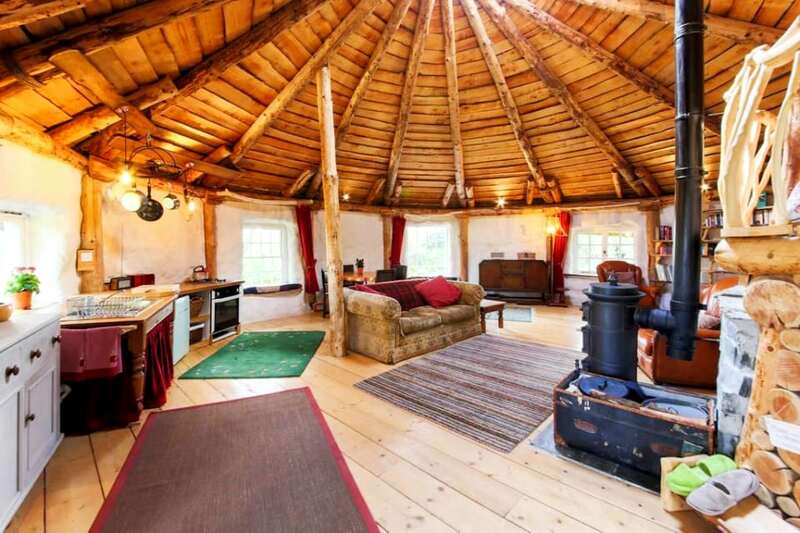 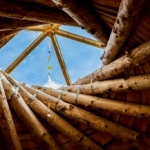 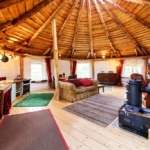 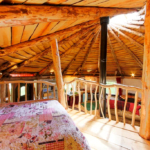 The Toddalong Roundhouse is a straw bale-built and grass-roofed external property in the back garden of the main four-bedroom house, and is let through AirBnb at weekends to provide a nice tidy income for the owners. 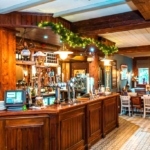 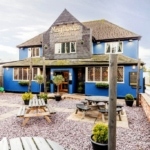 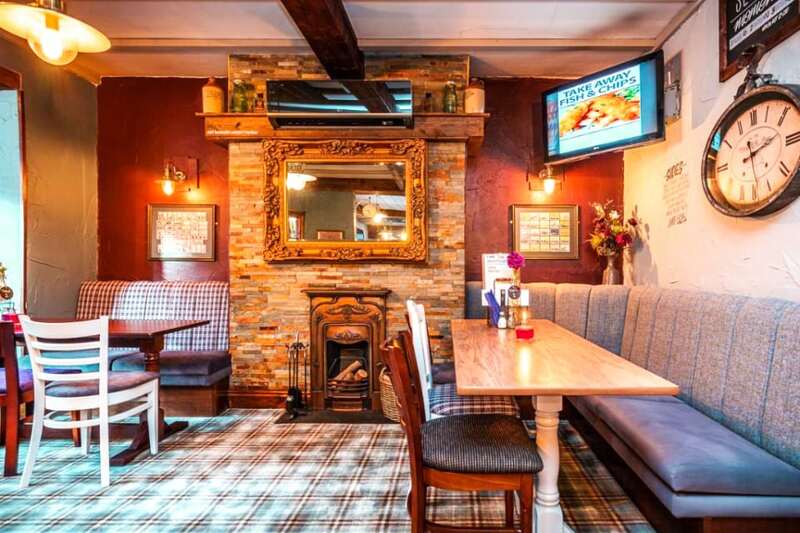 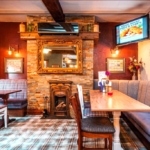 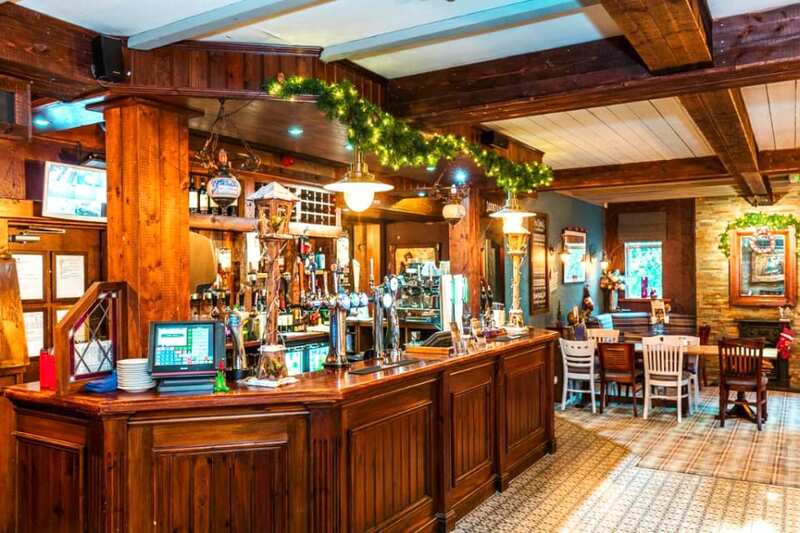 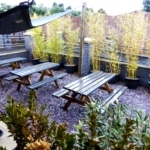 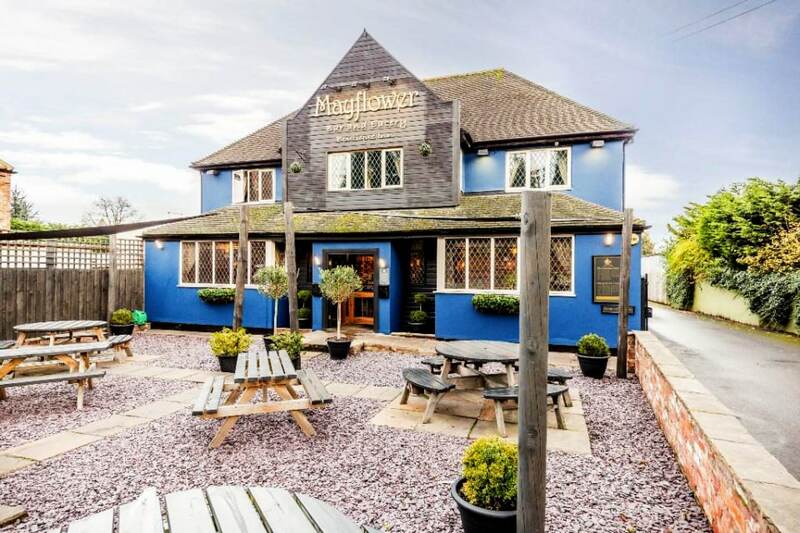 This gorgeous pub sits on the border between South Yorkshire and Nottingham and is called ‘The Mayflower’.